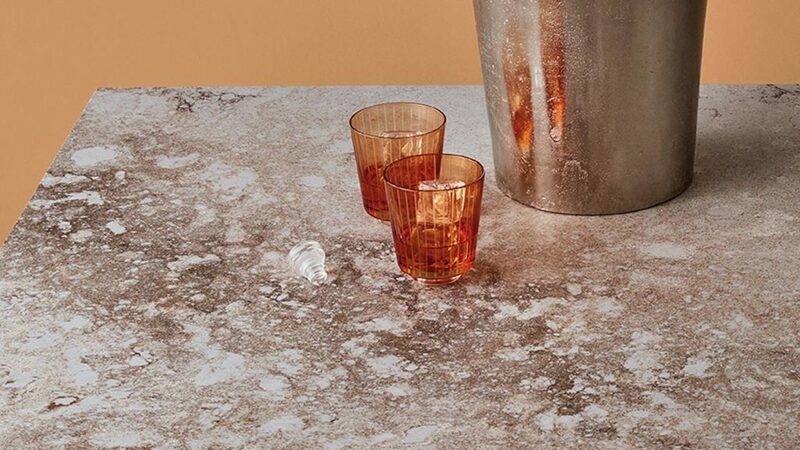 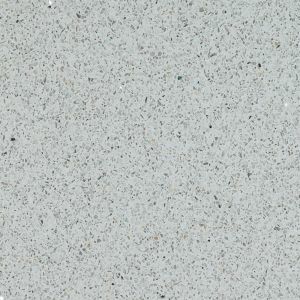  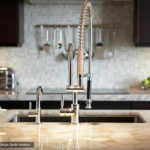 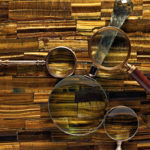 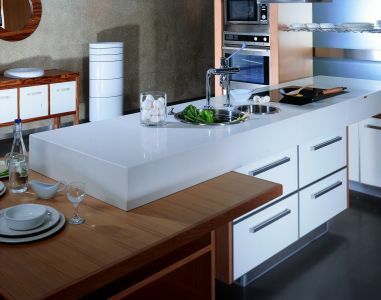 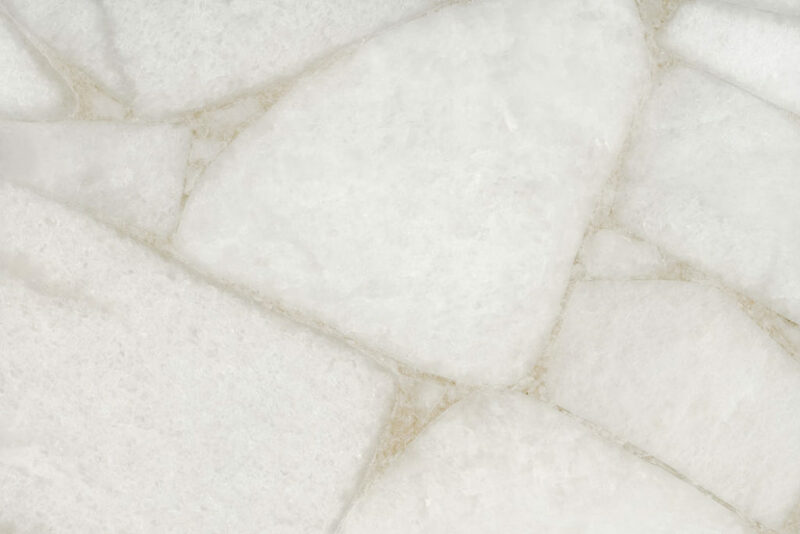 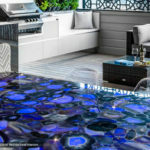 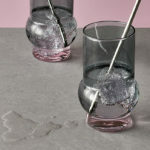 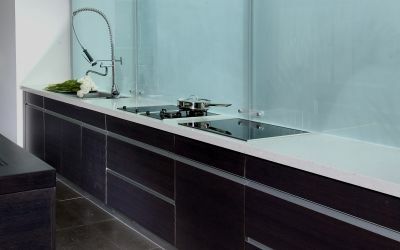 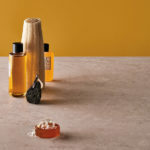 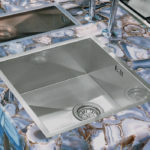 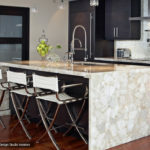 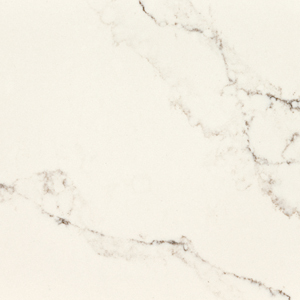 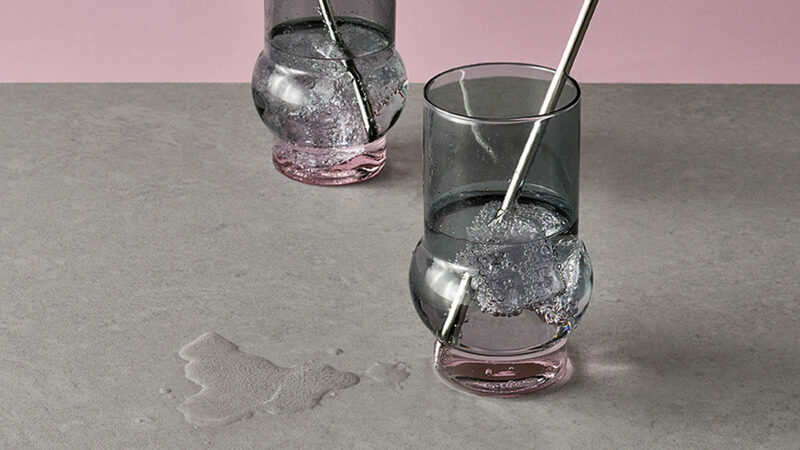 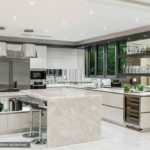 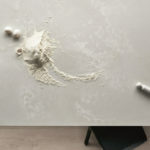 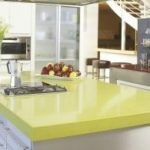 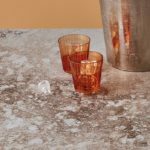 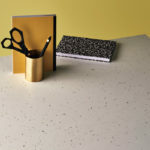 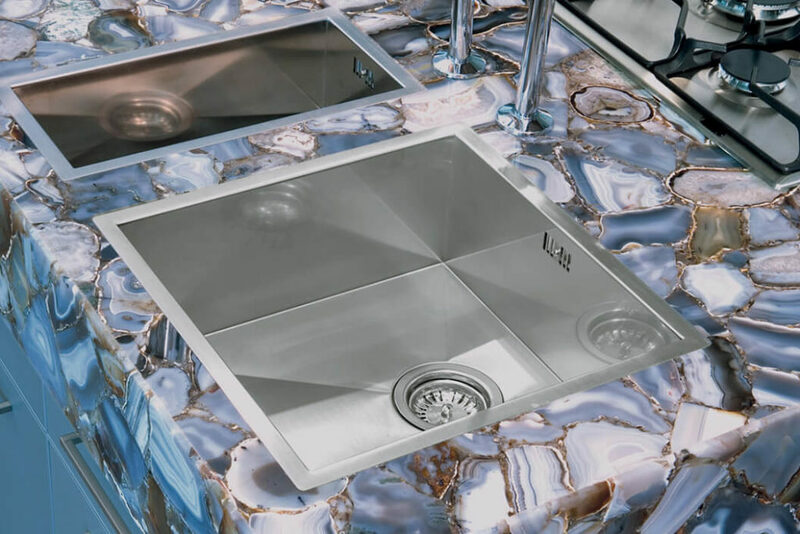 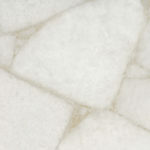 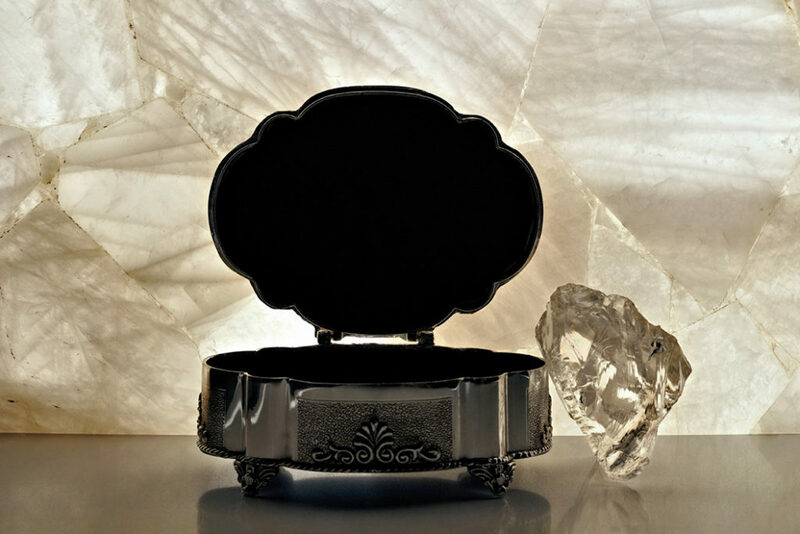 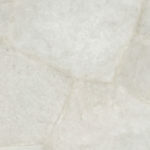  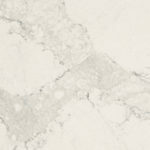 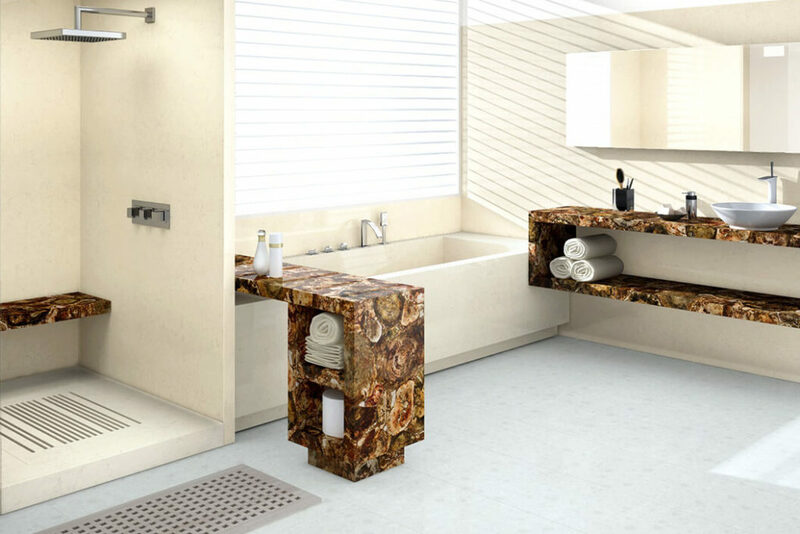 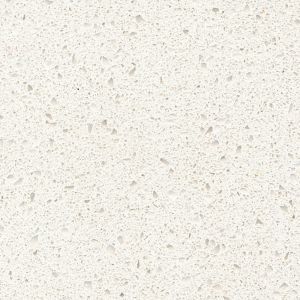 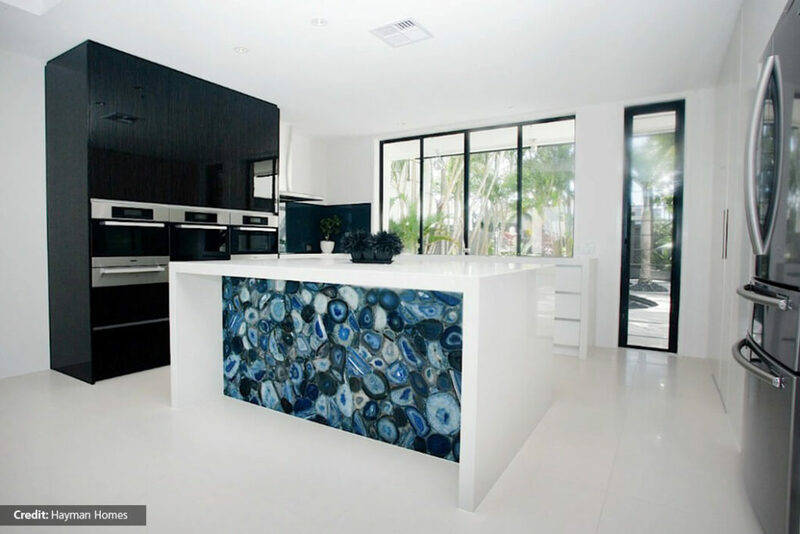 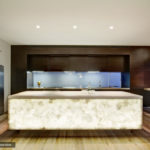 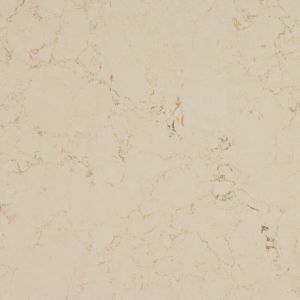 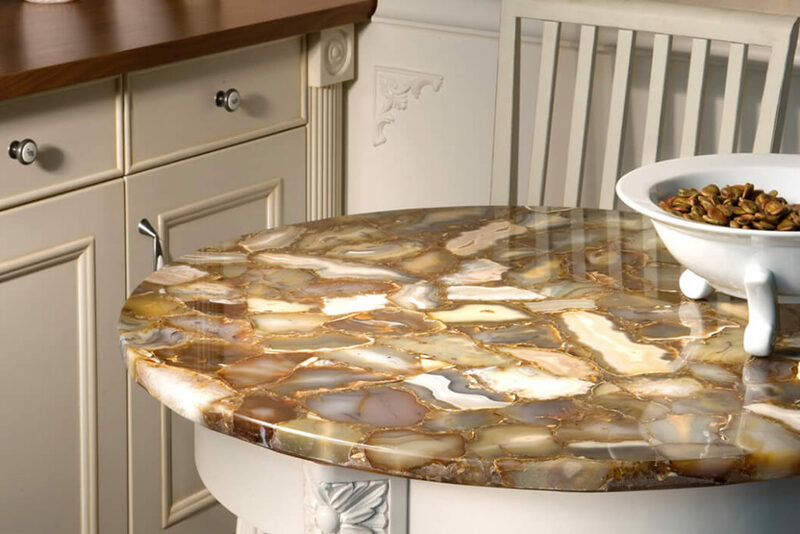 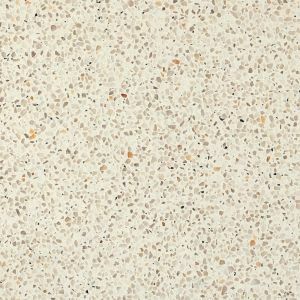 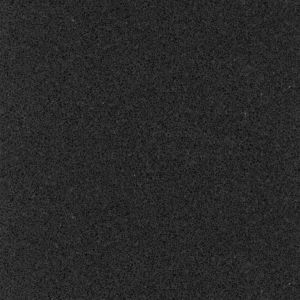 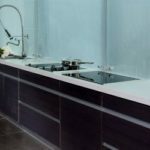 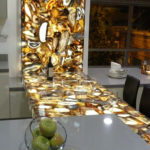 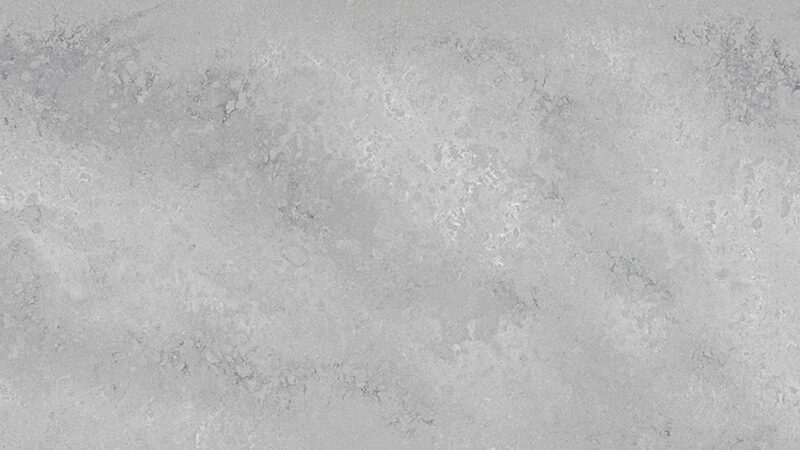 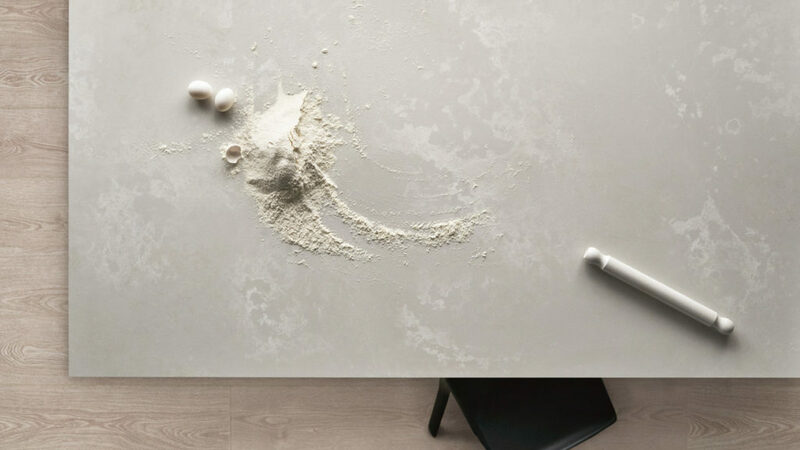 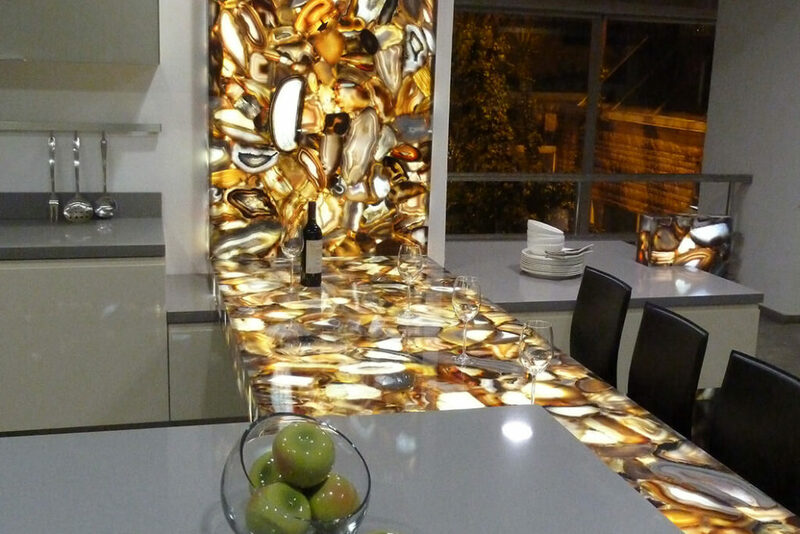 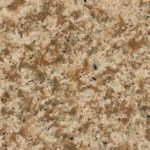 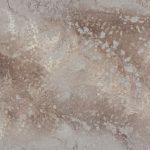 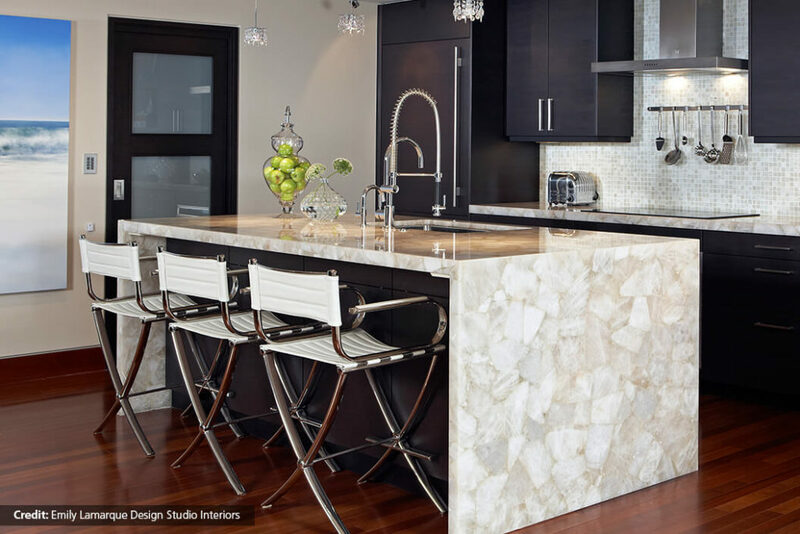 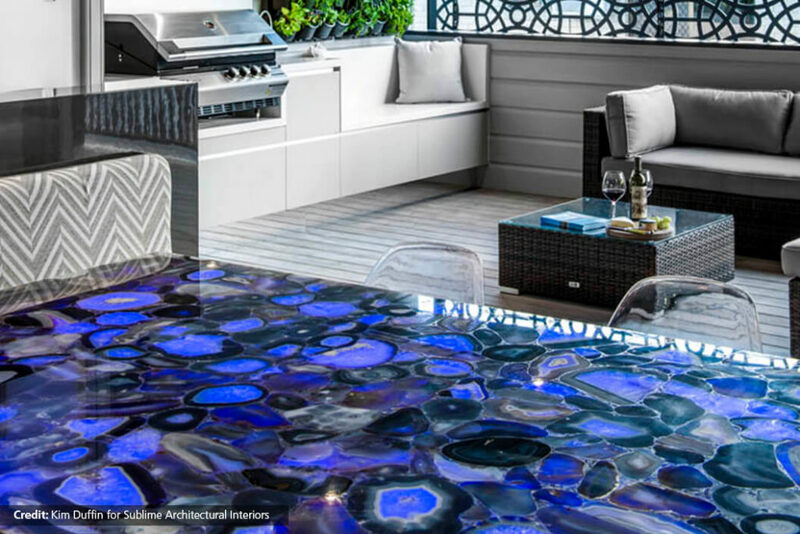 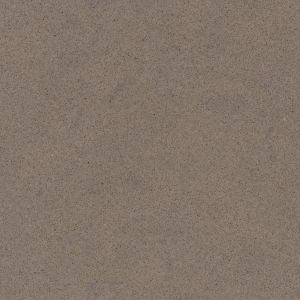 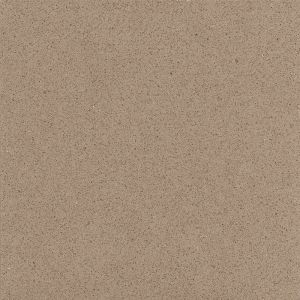 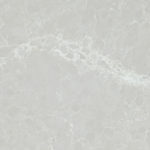 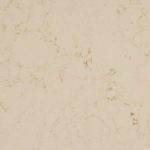 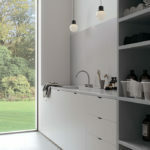 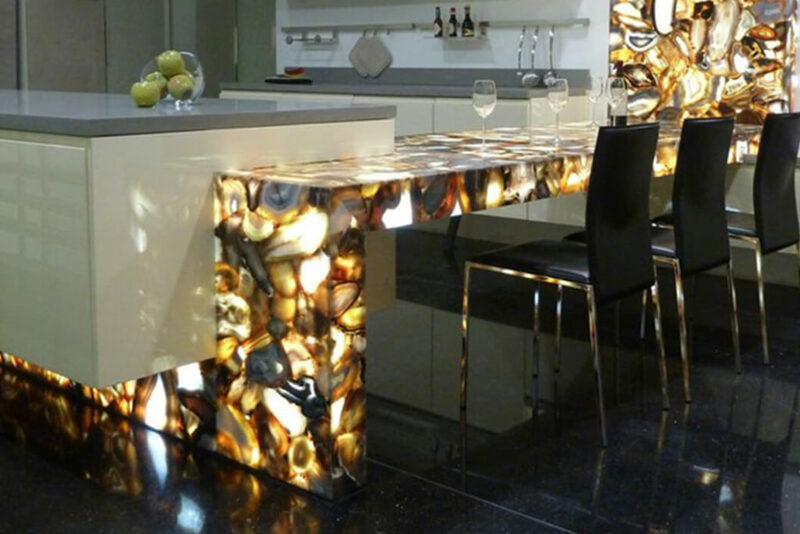 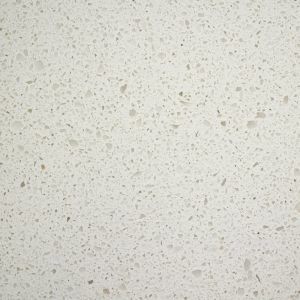 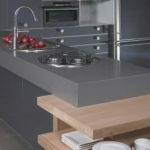  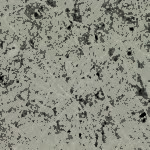  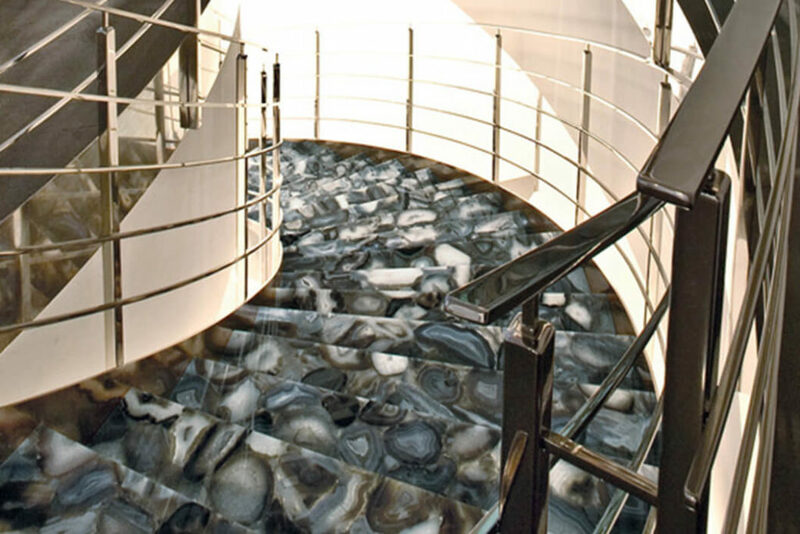 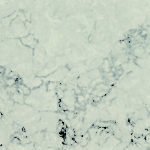 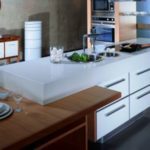 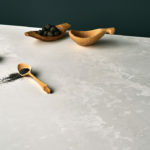 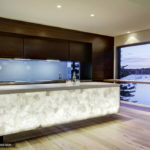 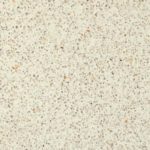 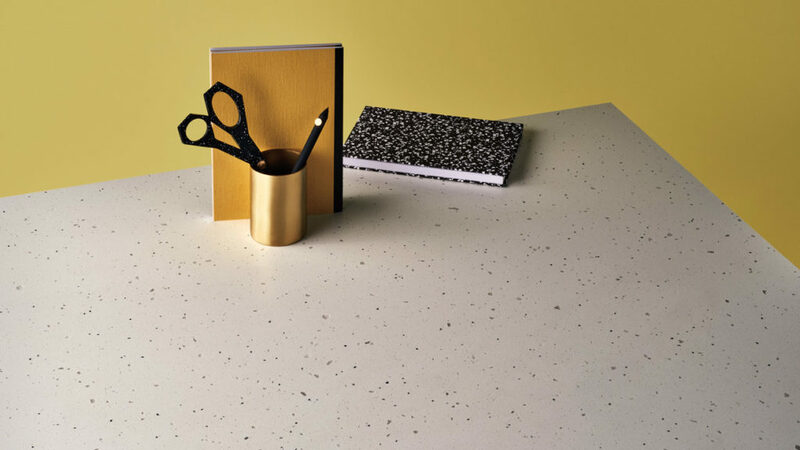 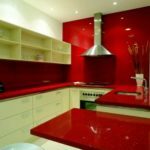 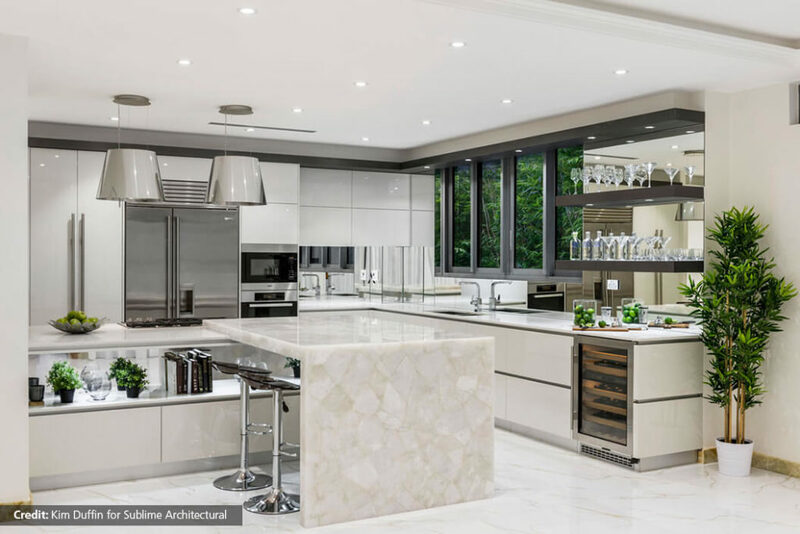 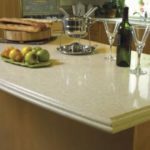 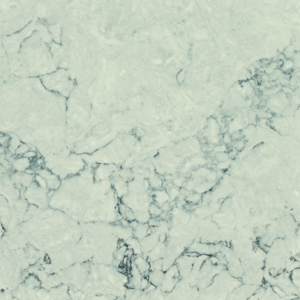 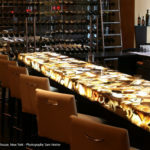 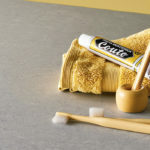 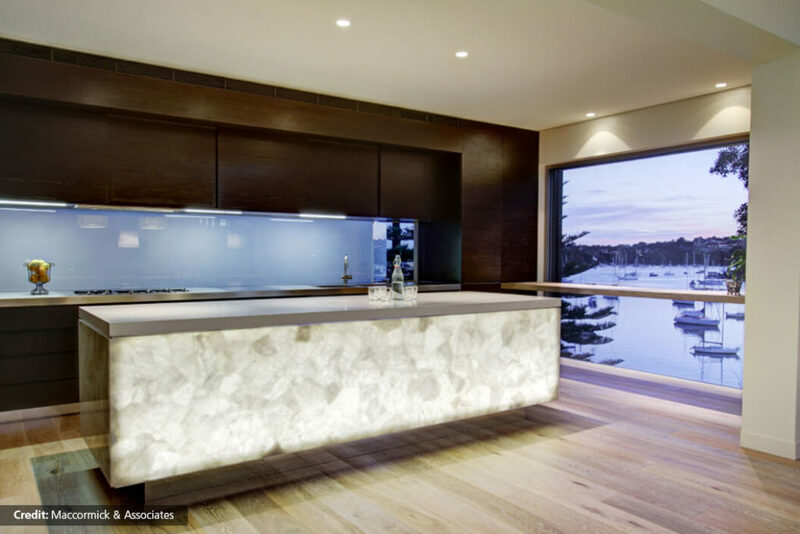 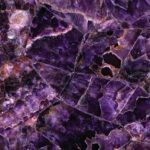 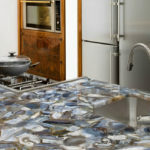 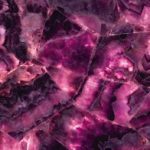 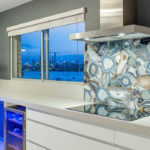 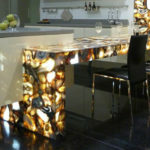 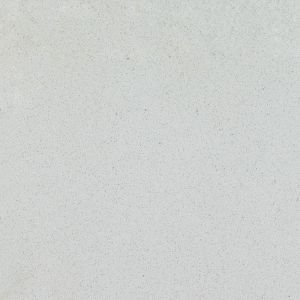  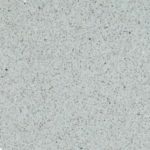 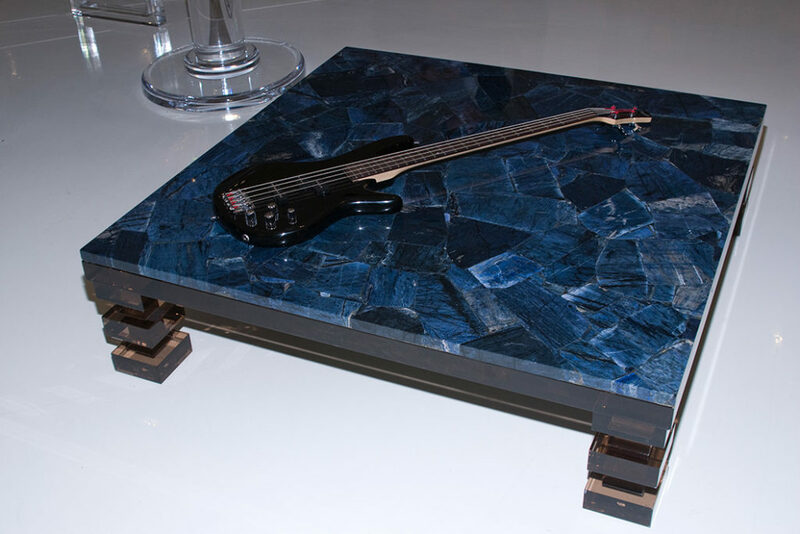 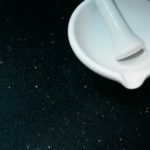 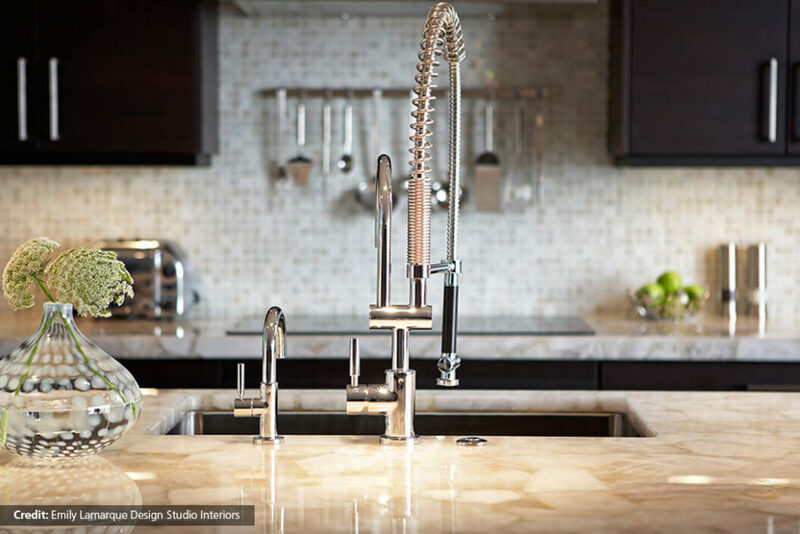 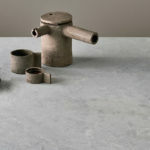 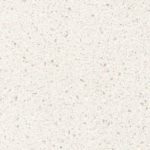 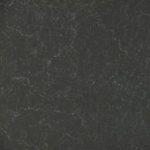 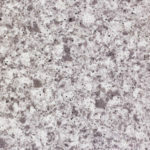 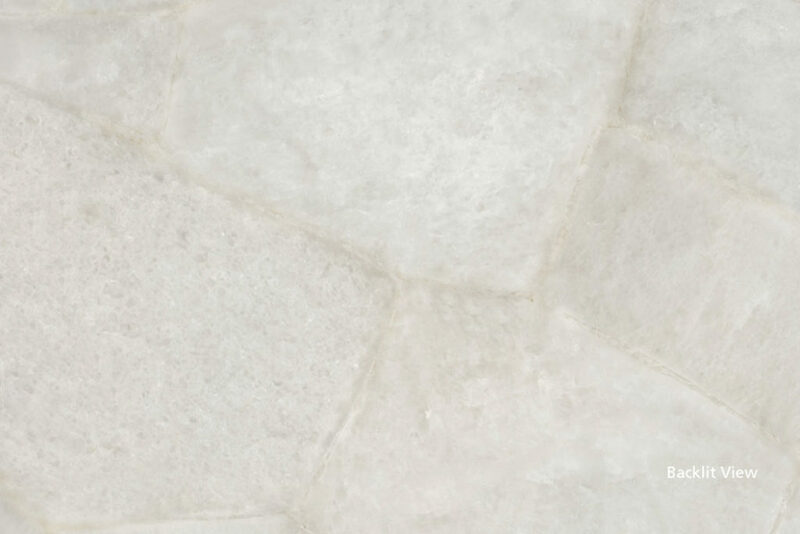 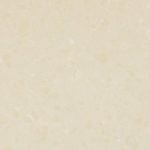 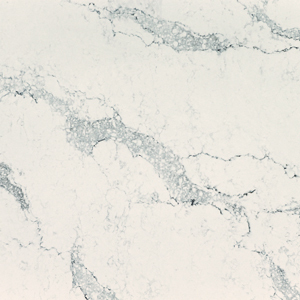 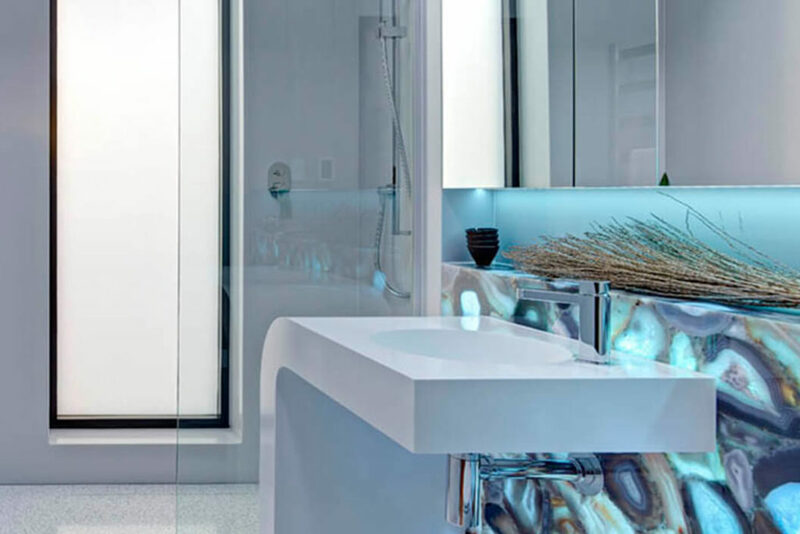 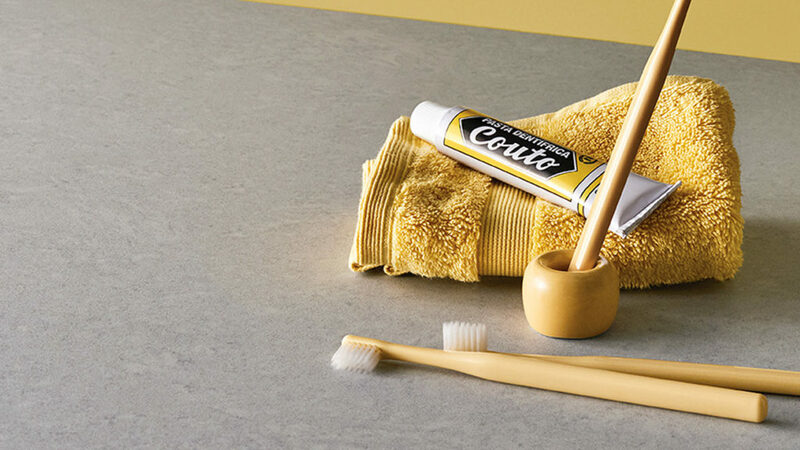 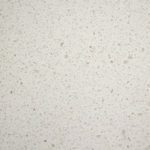 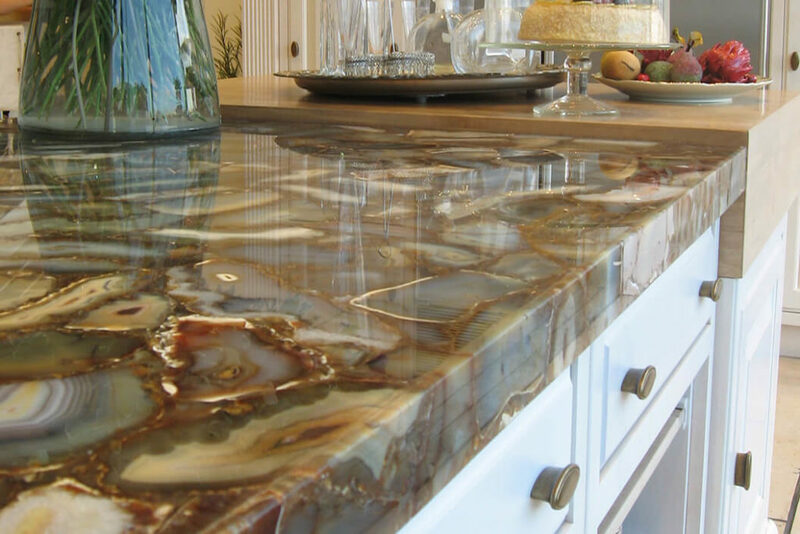 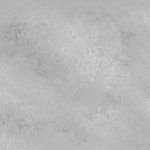 Composed of 93% natural quartz, one of nature’s strongest minerals, the quartz surfaces is resistant to stains, scratches, most household chemicals, and moderate heat. 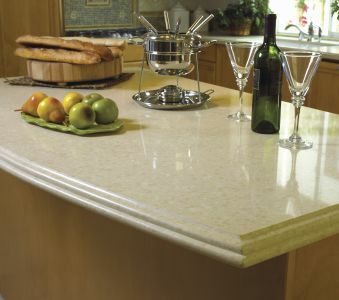 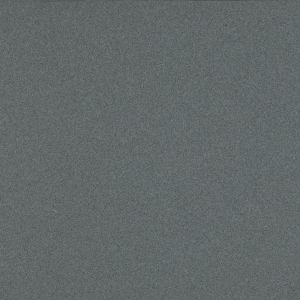  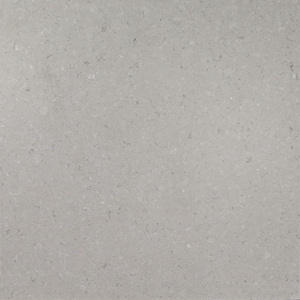 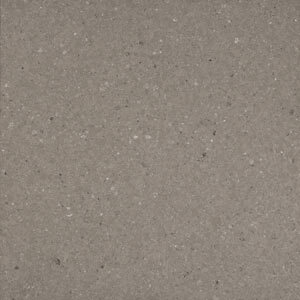 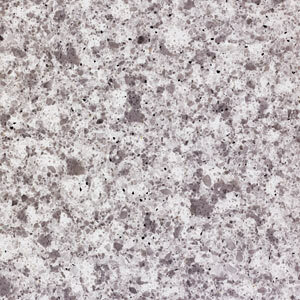 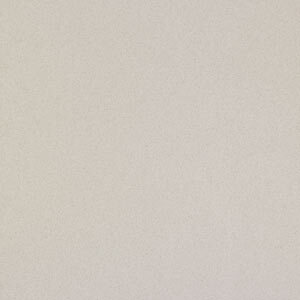 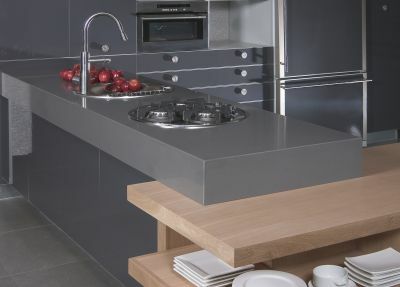 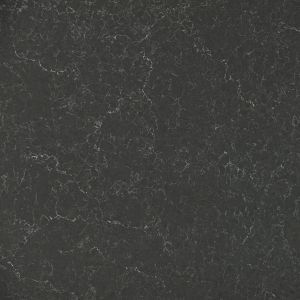 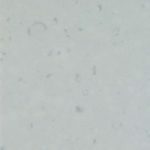 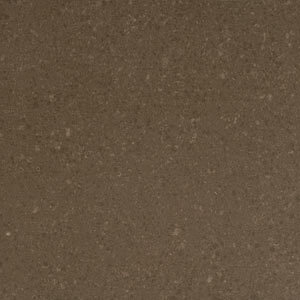 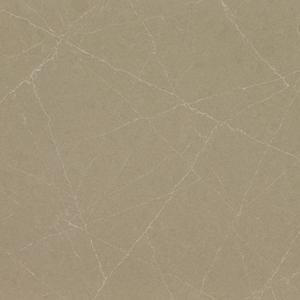 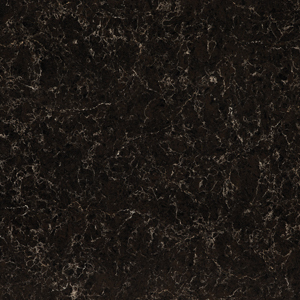 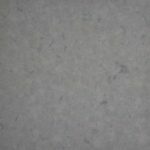 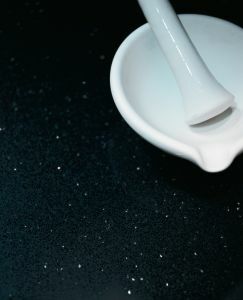 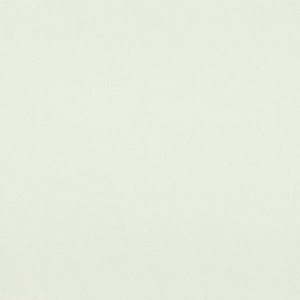 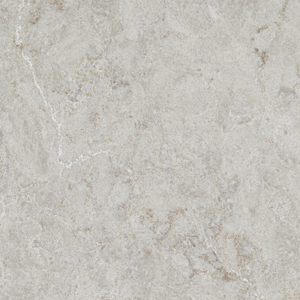 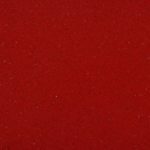 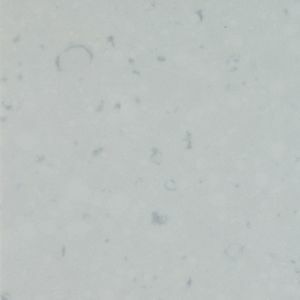 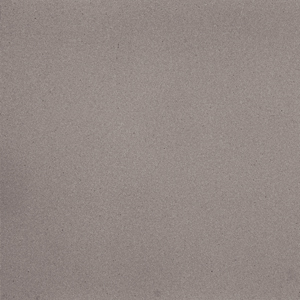 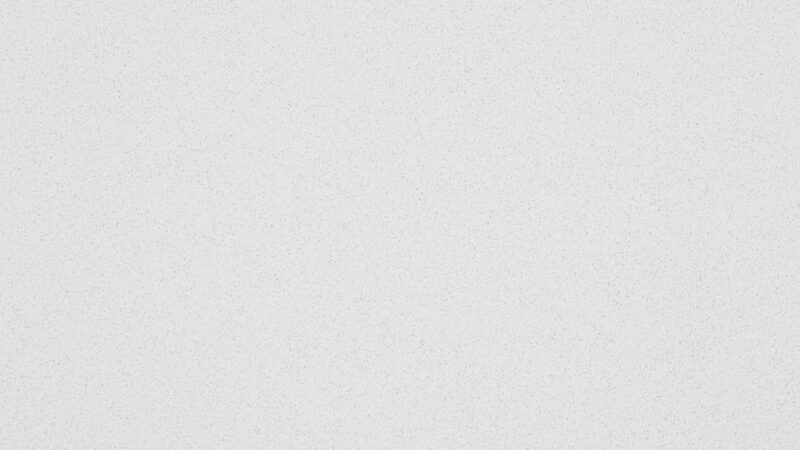 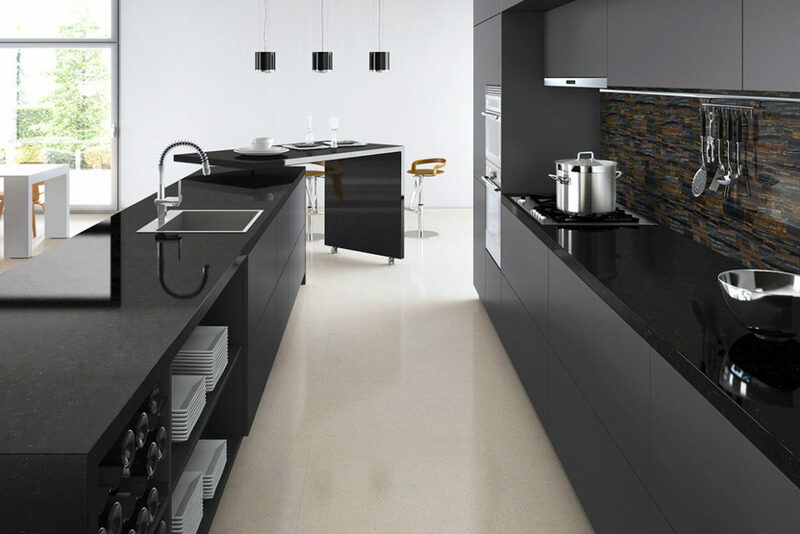 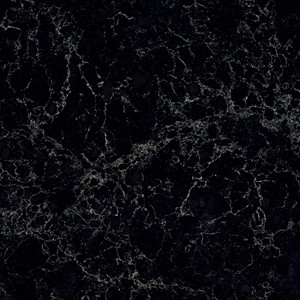 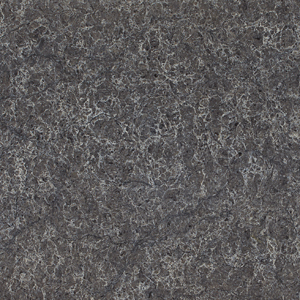 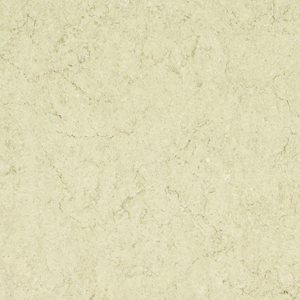 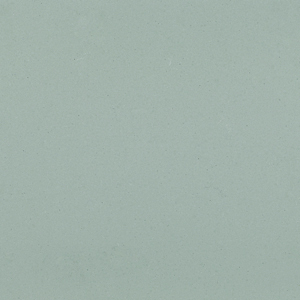  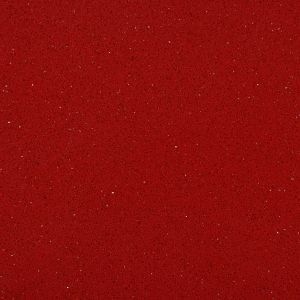 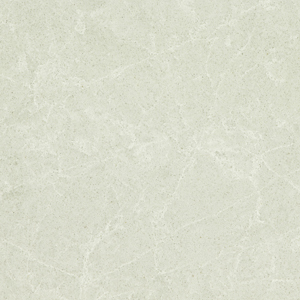 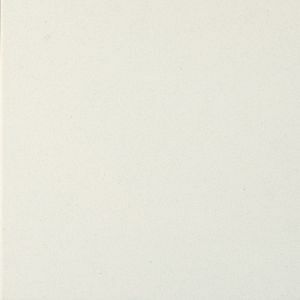 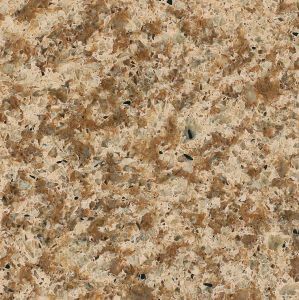 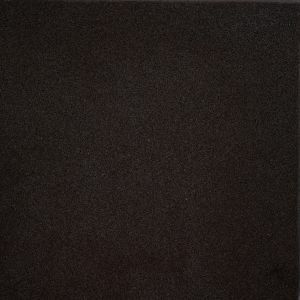 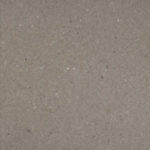 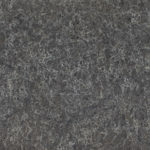 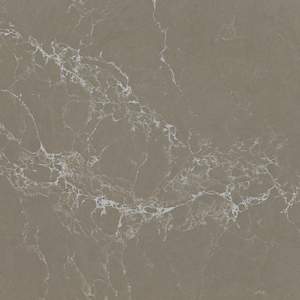 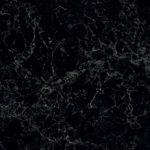 The premium quartz never needs sealing, and its hard, nonporous surface makes cleaning simple. 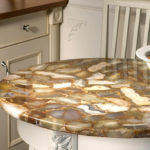 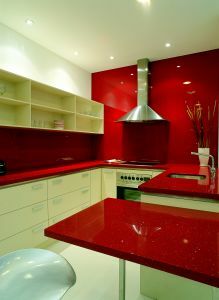 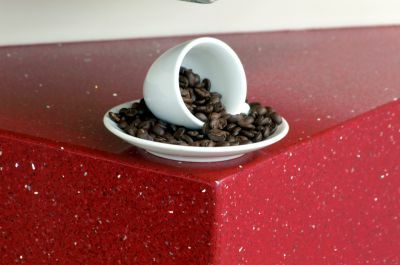 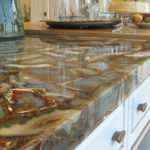 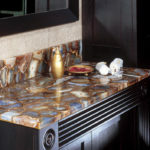 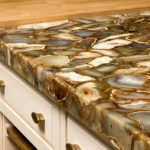 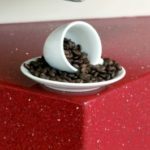 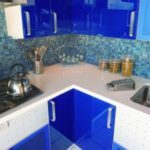 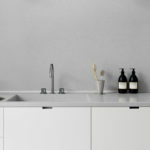 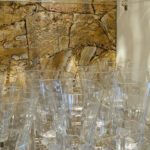 In most cases, soap and water or a mild detergent is all that is required to keep your countertop looking like new. 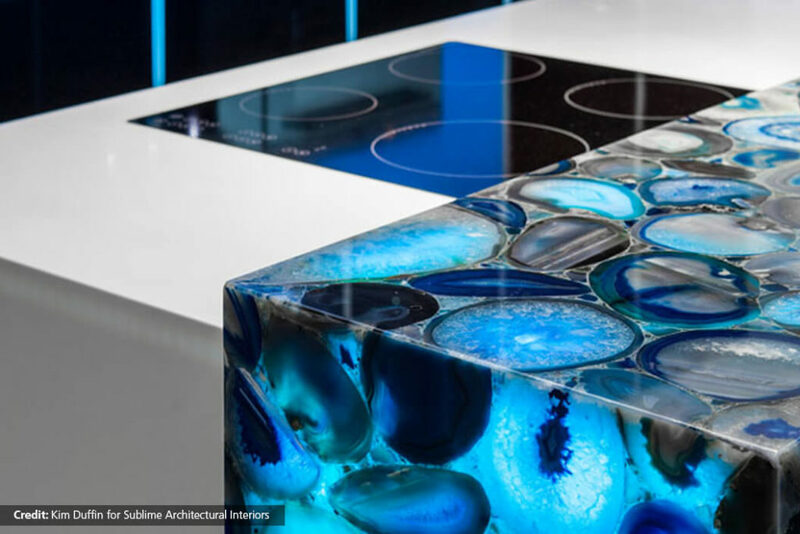 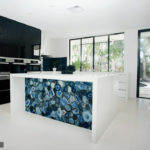 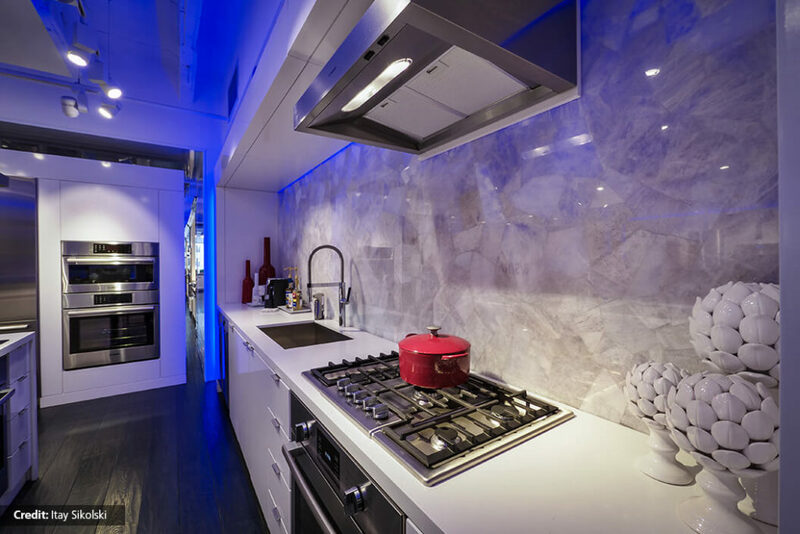 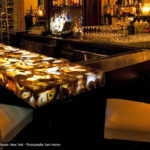 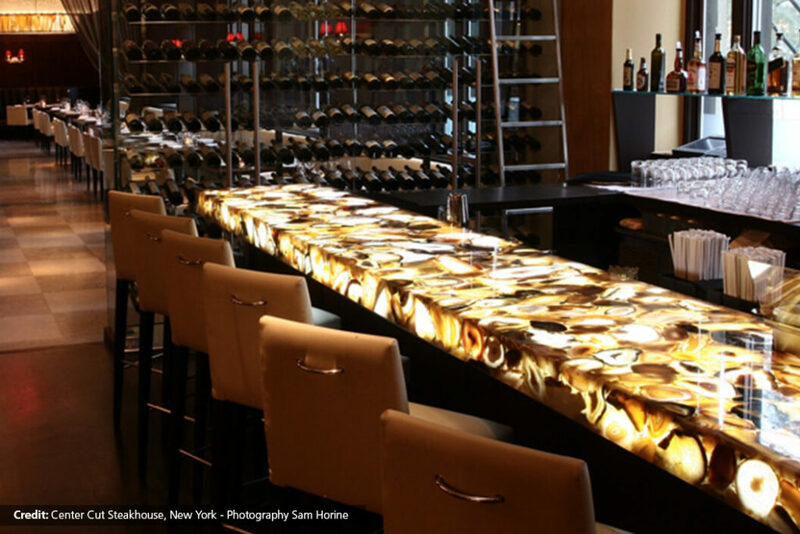 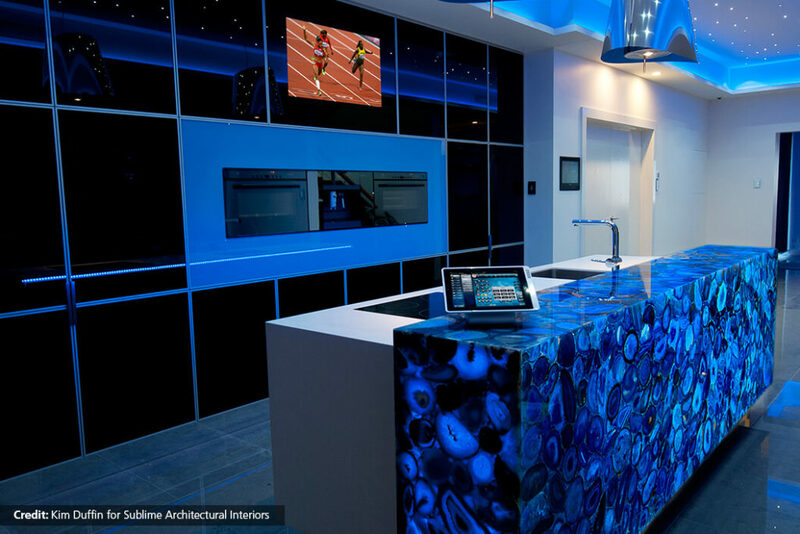 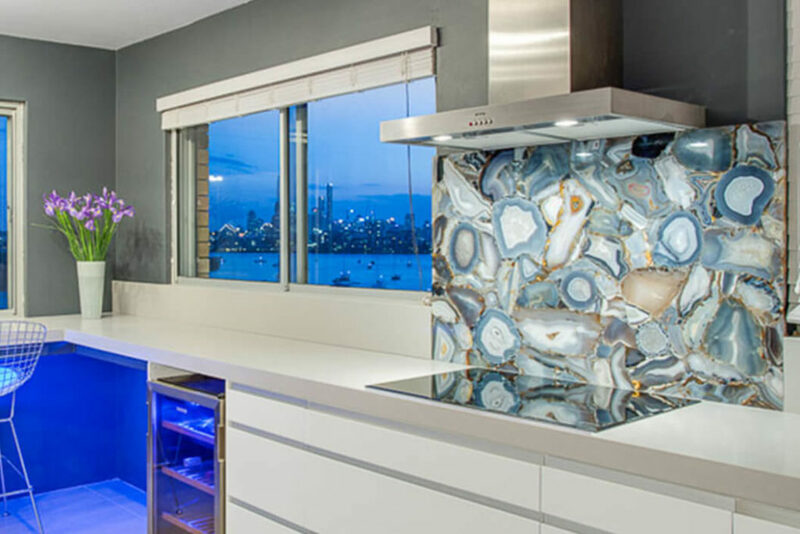 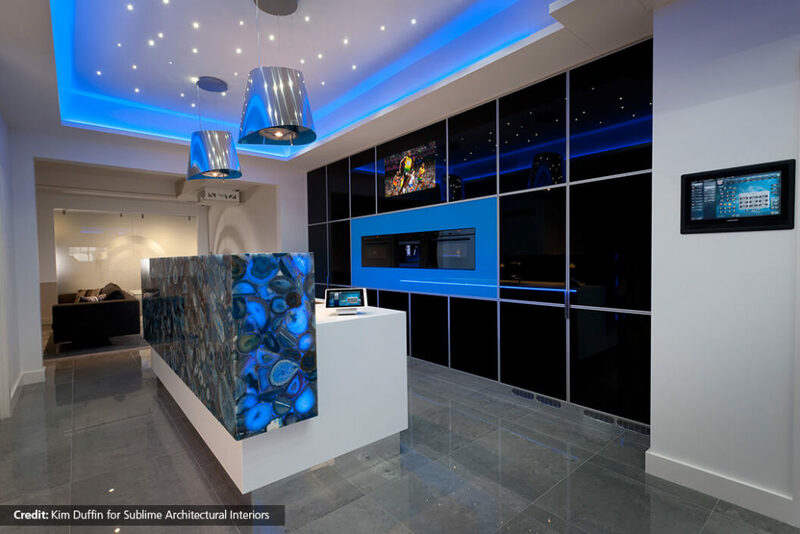 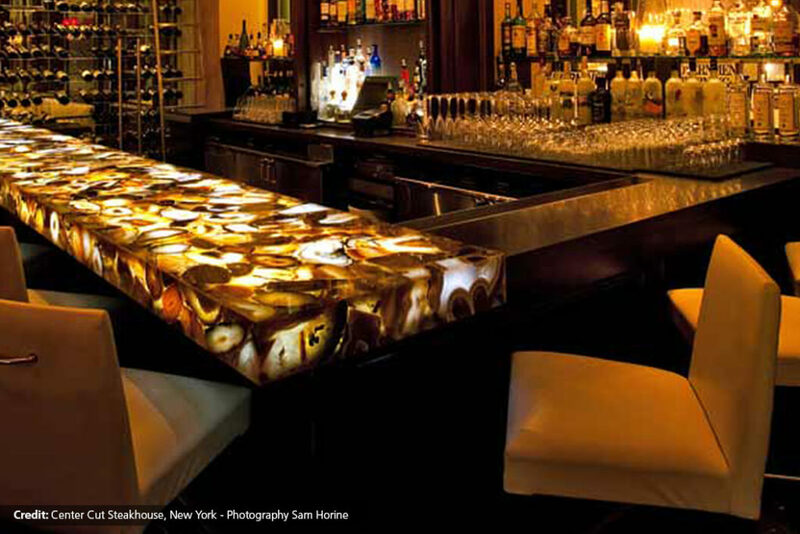 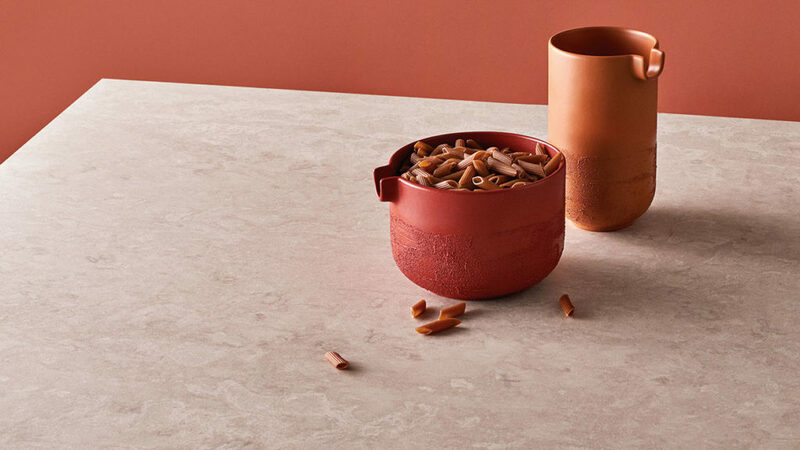 Caesarstone continually works to create new color and quartz designs that influence trends and inspire creative applications. 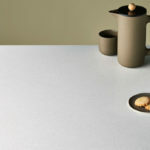 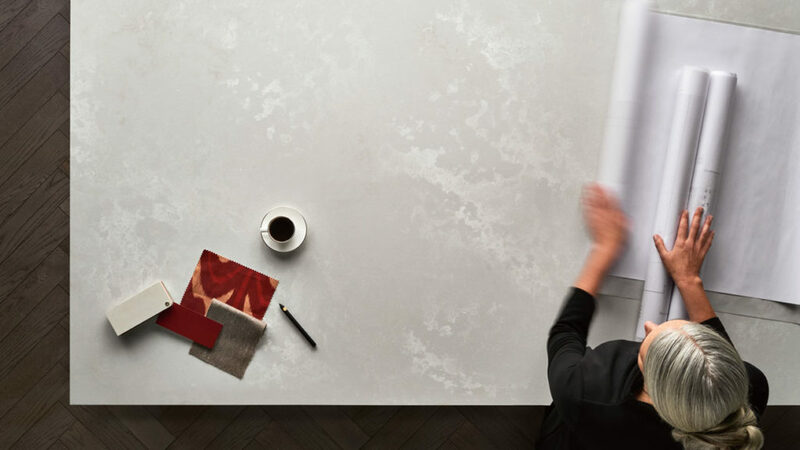 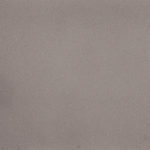 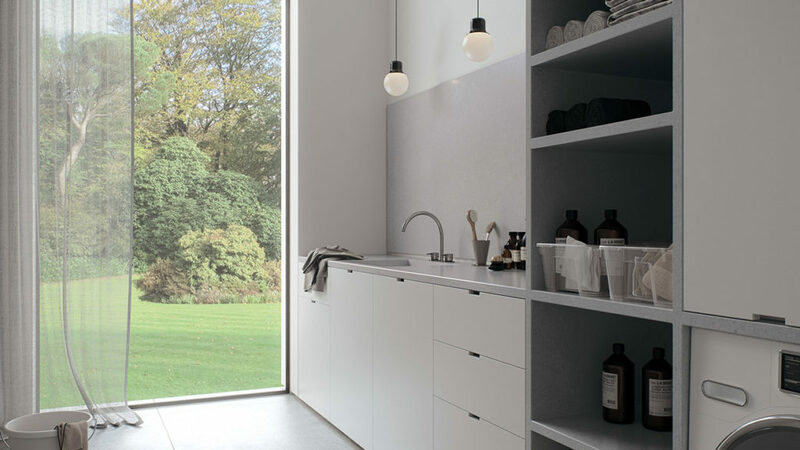 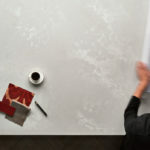 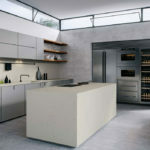 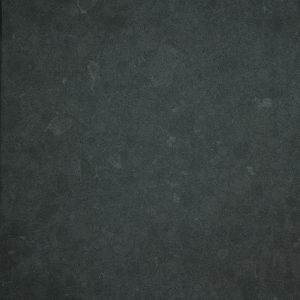 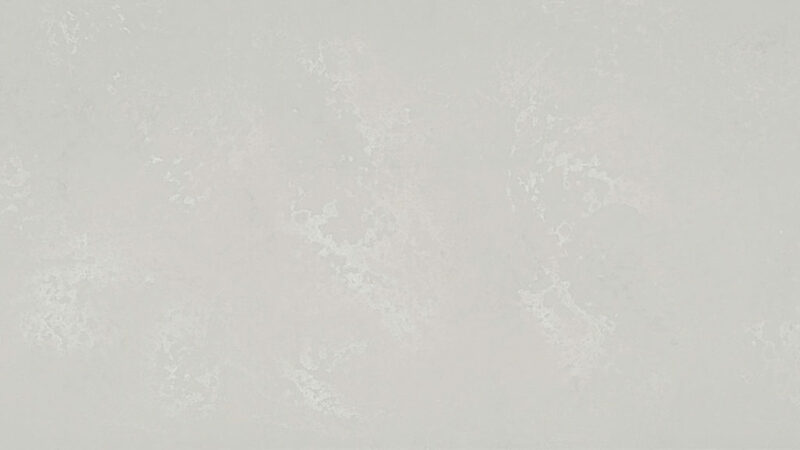 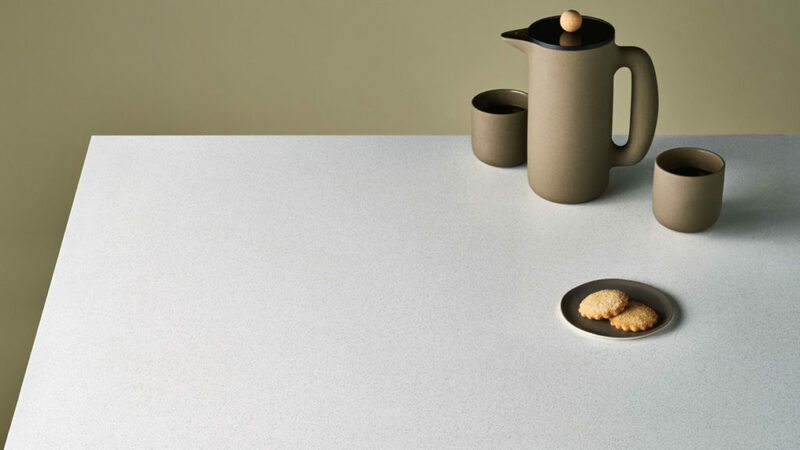 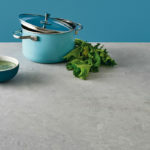 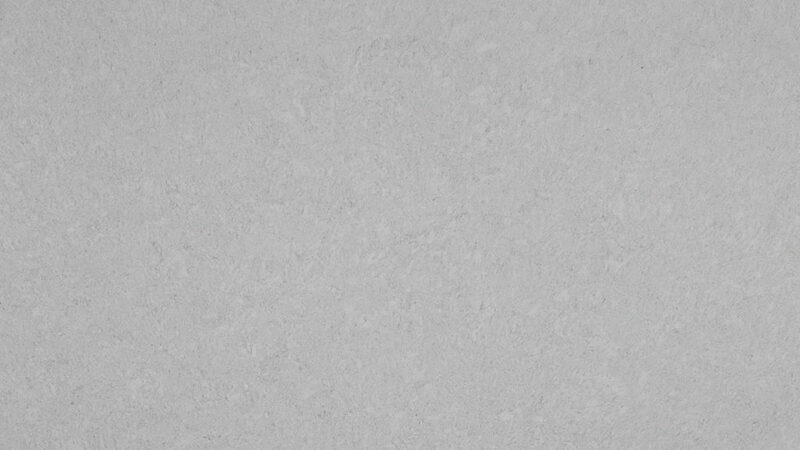 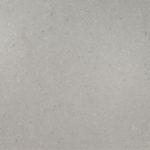 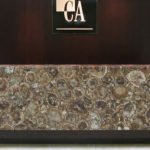 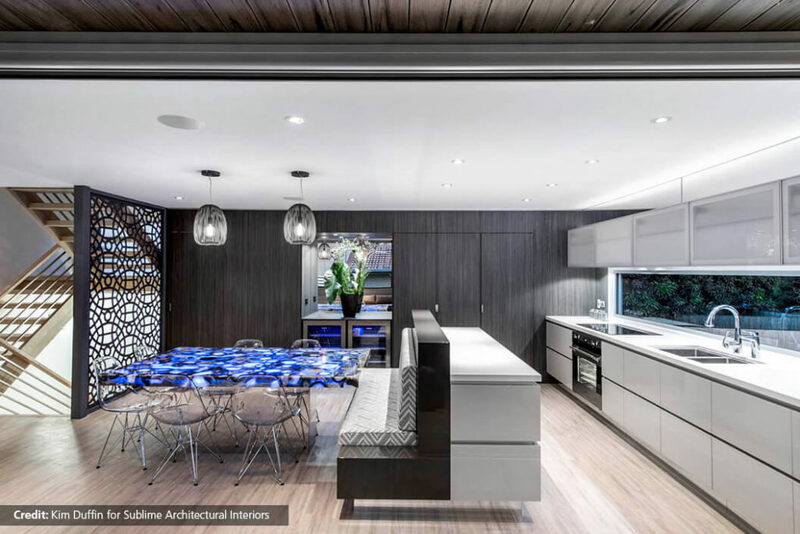 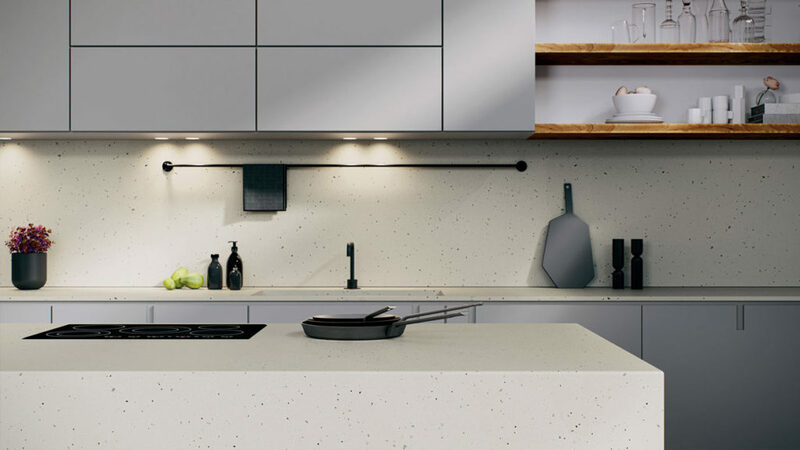 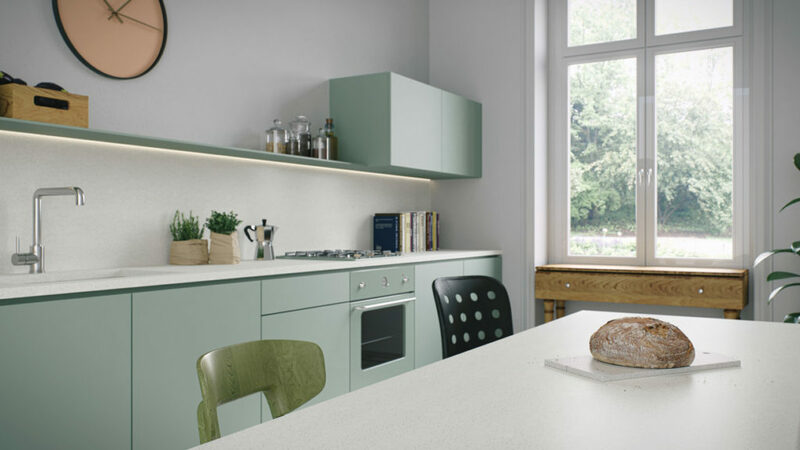 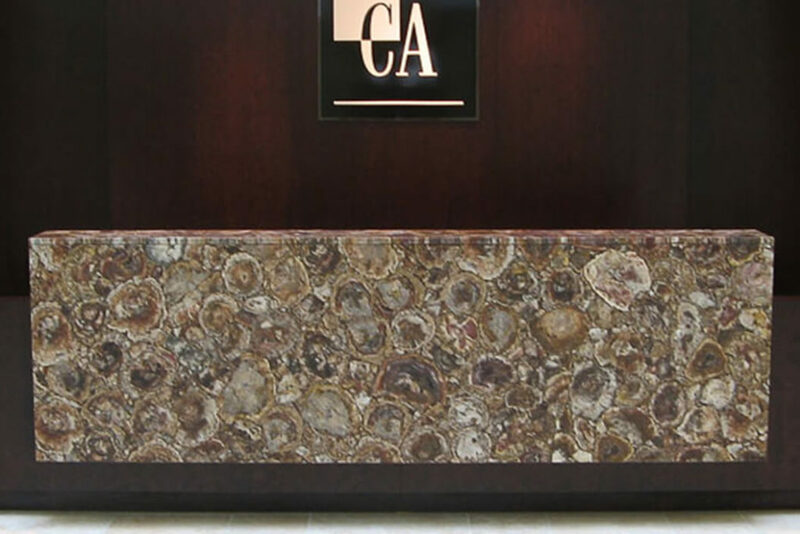 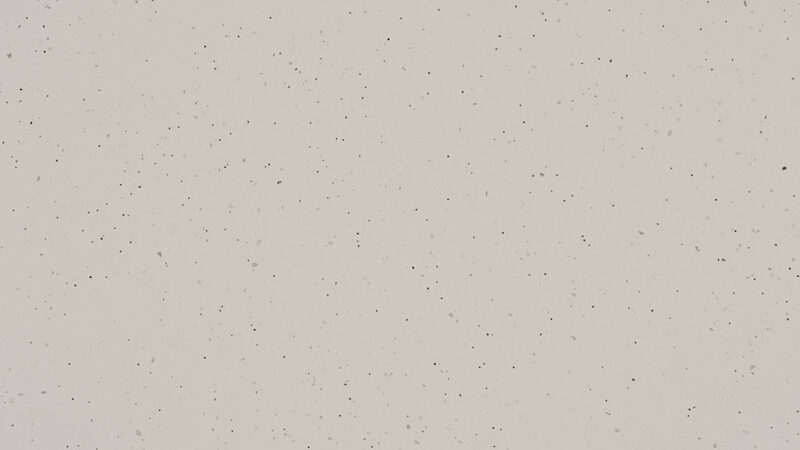 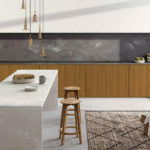 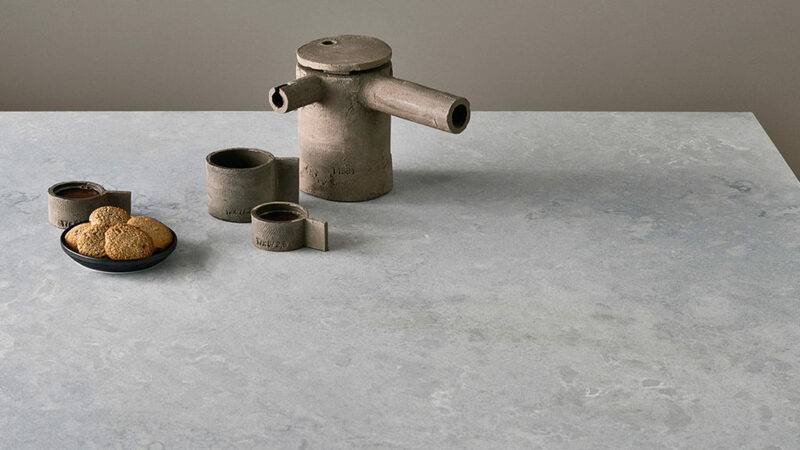 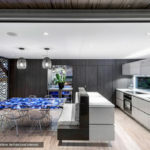 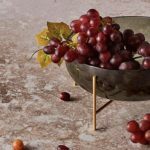 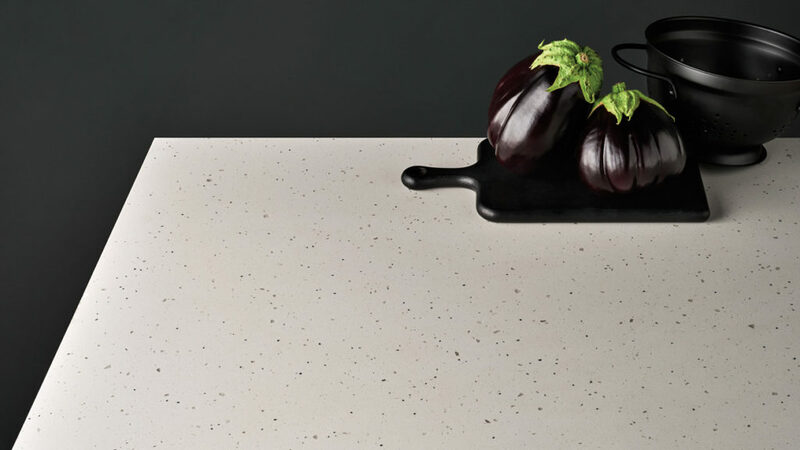 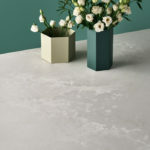 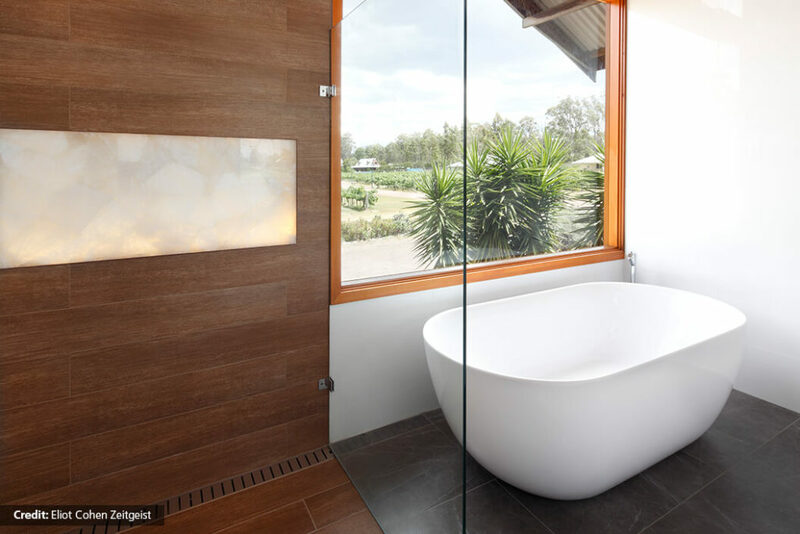 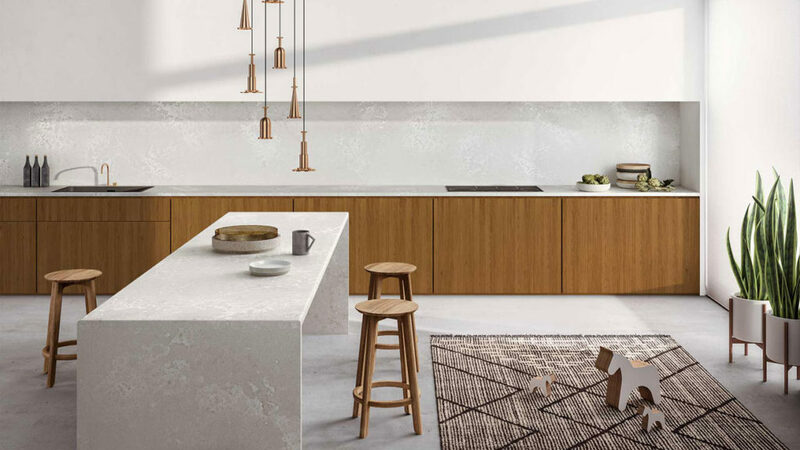 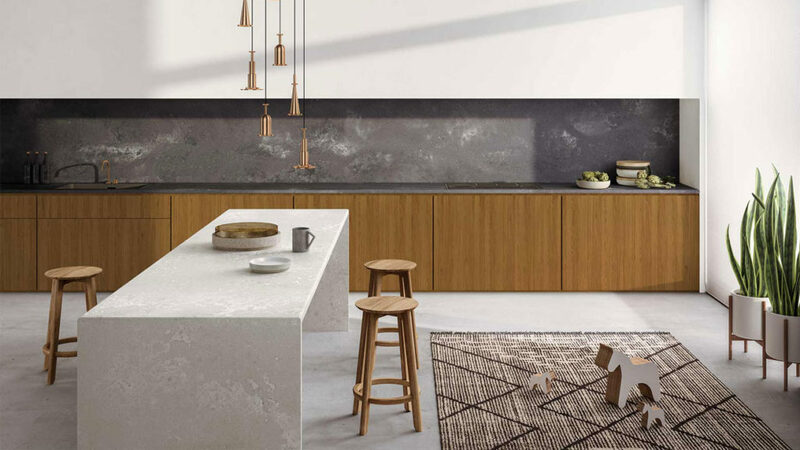 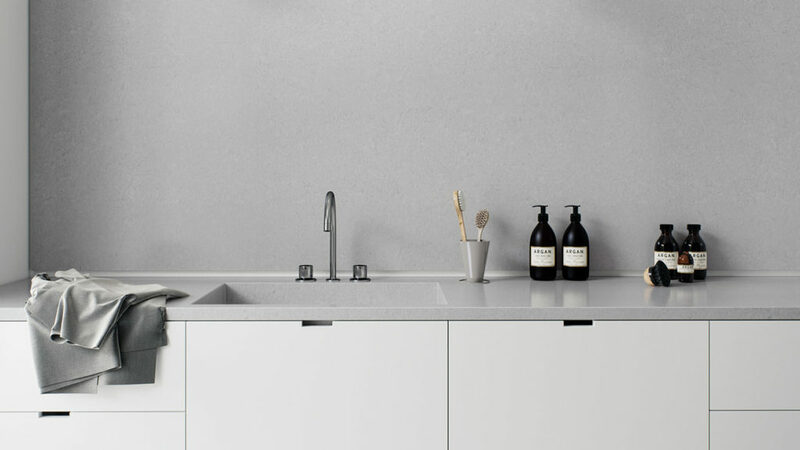 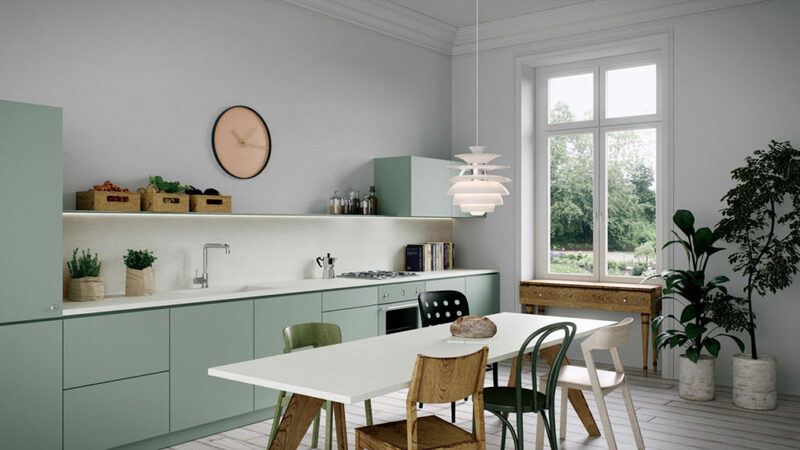 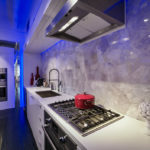 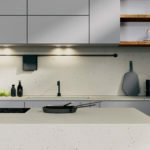 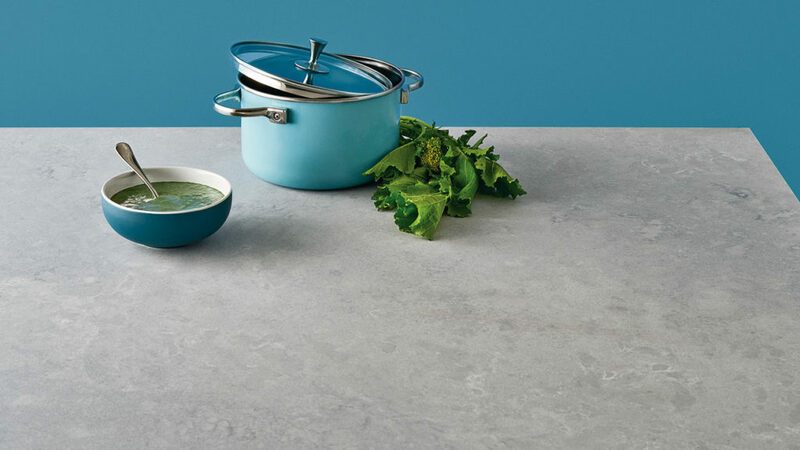 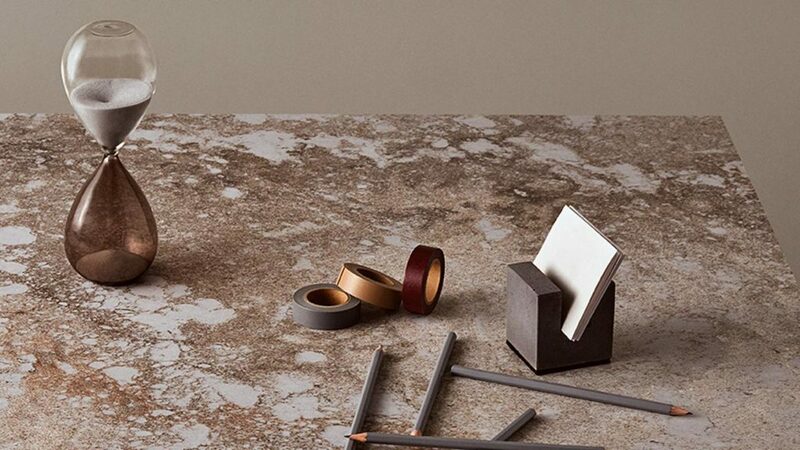 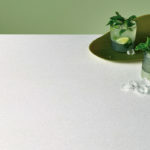 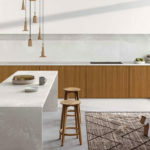 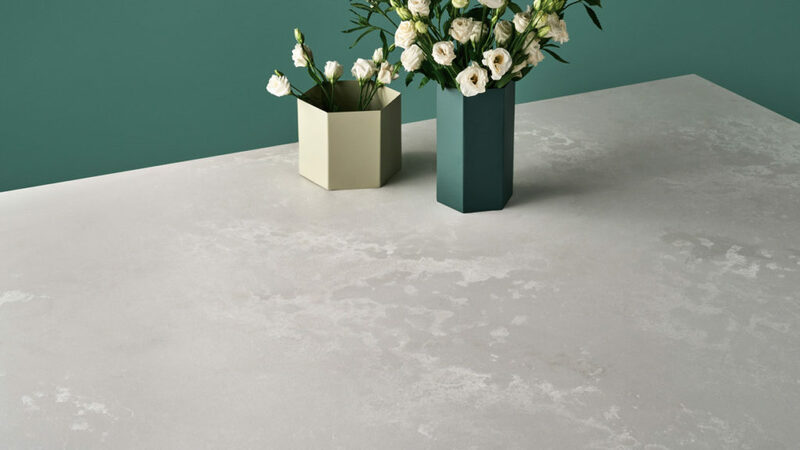 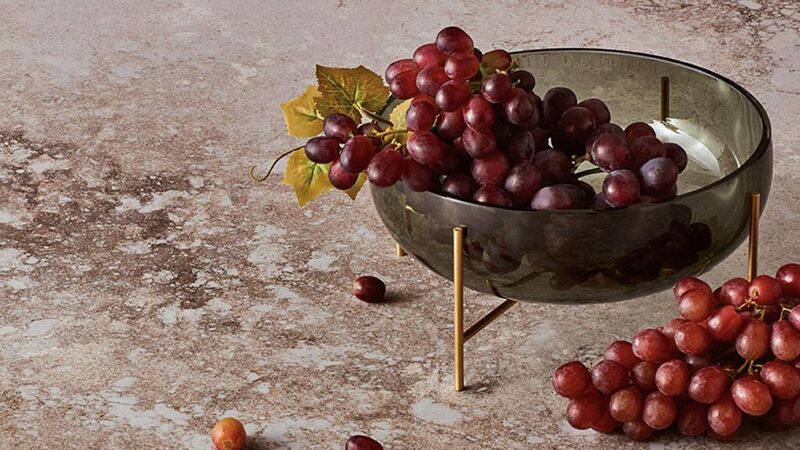 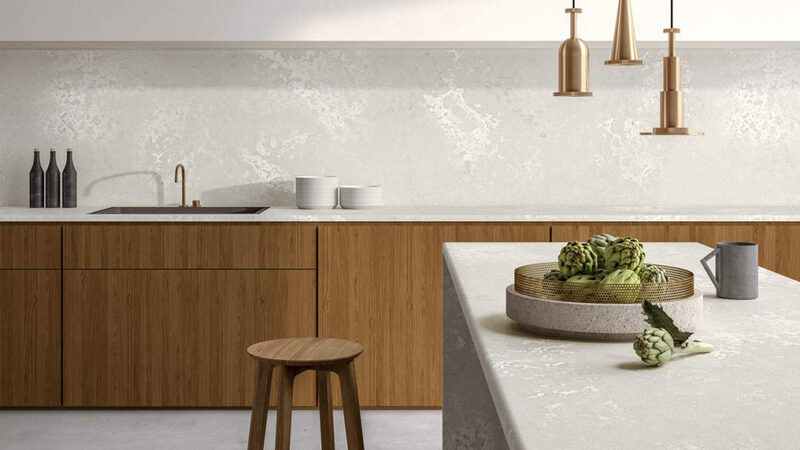 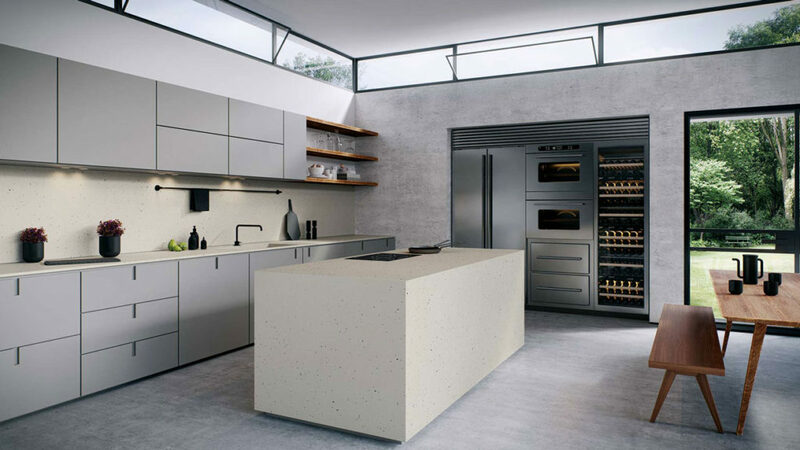 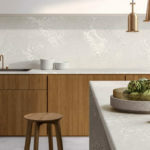 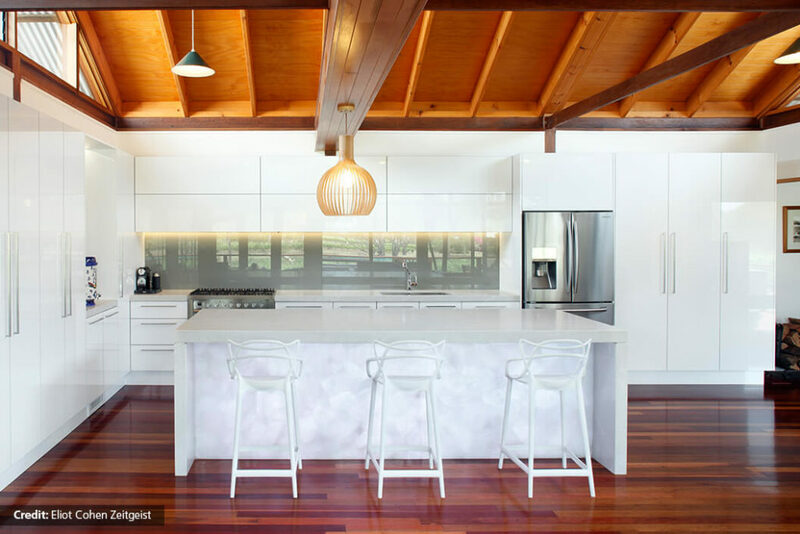 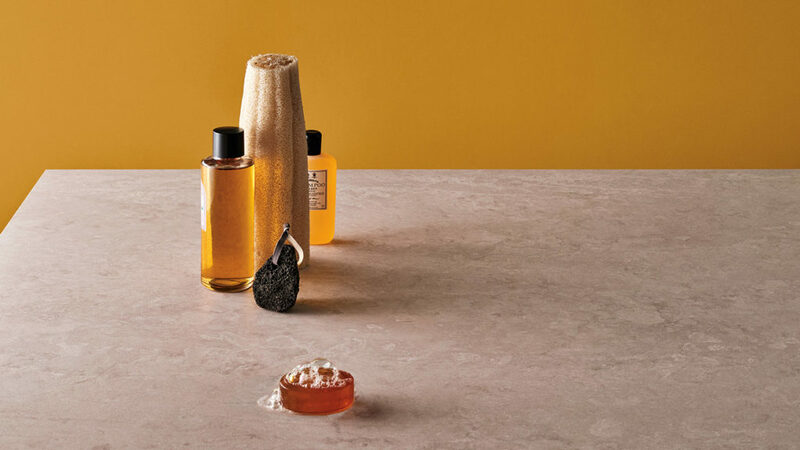 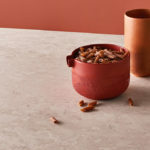 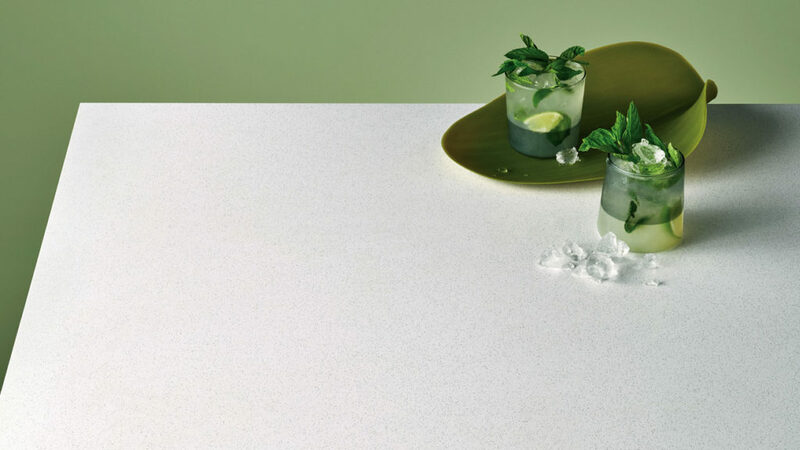 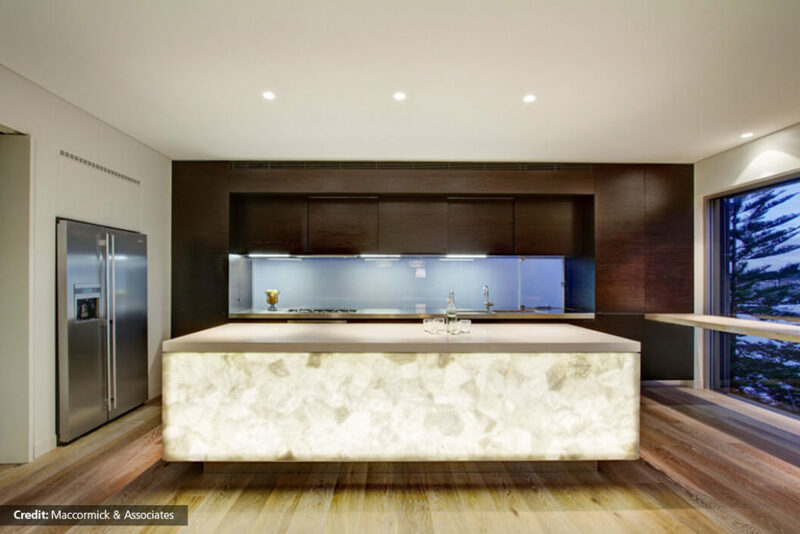 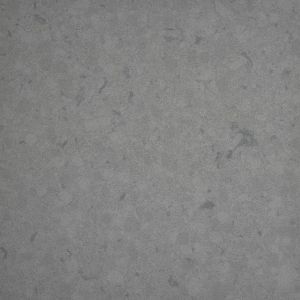 Caesarstone surfaces retain the cool, tactile qualities of natural stone, with aggregates ranging from fine to coarse-grained color blends for varied visual texture. 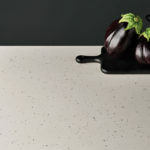 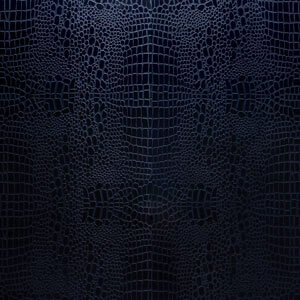 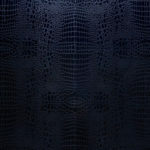  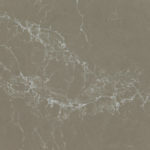 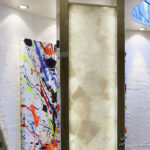 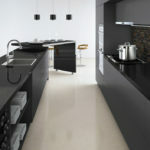 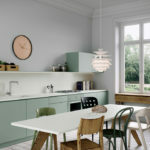 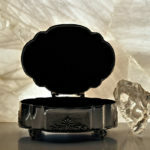 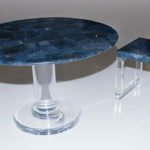 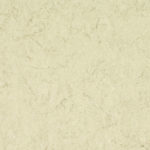 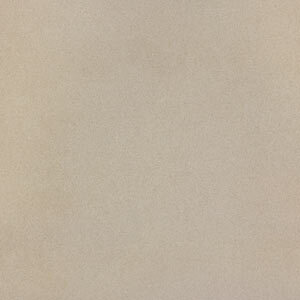 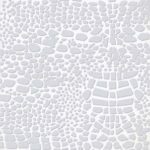  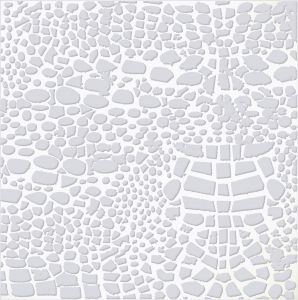 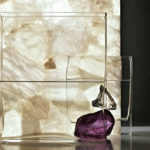 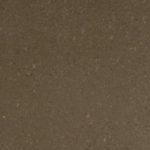 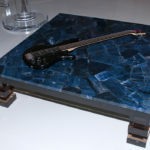 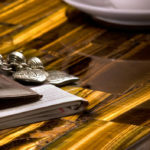  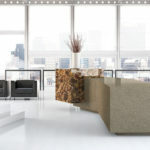 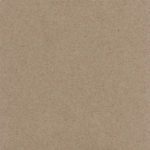 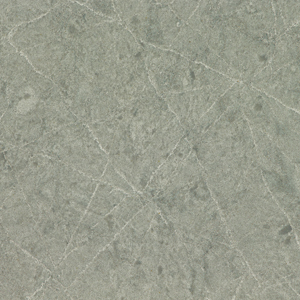 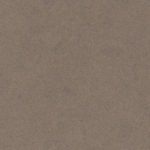   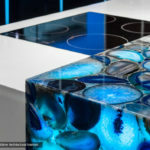 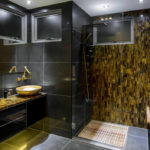 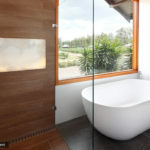 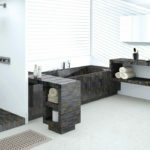 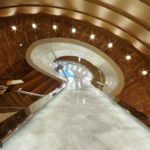 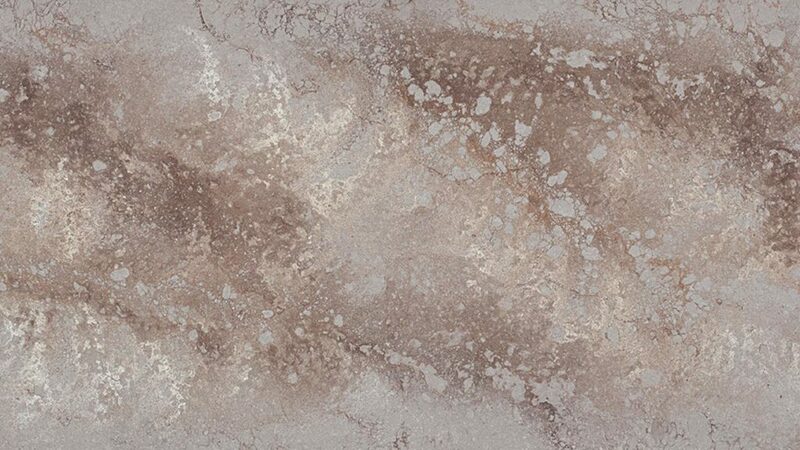 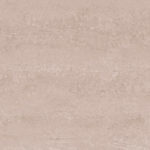 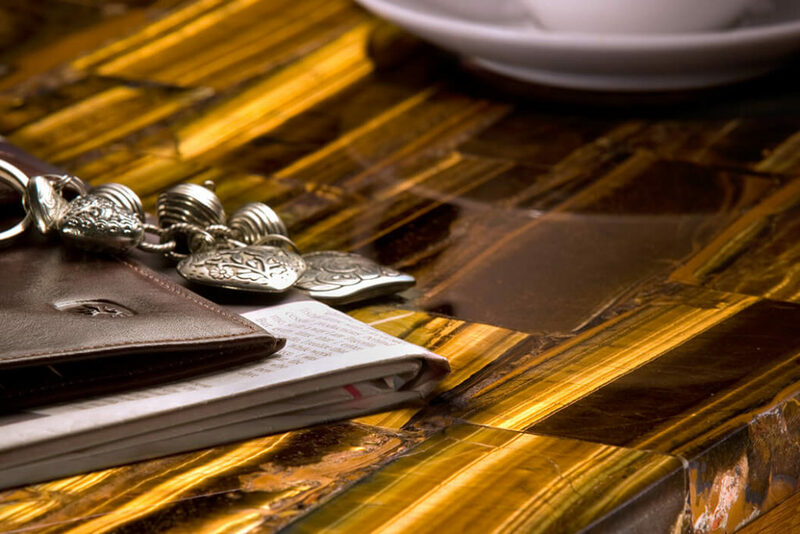 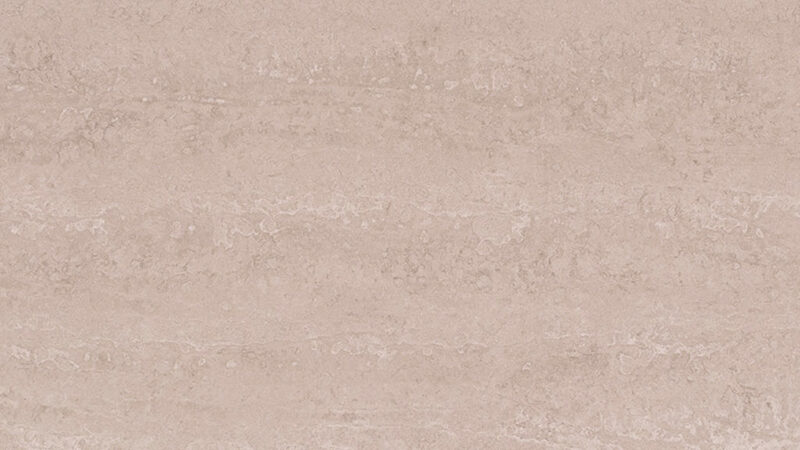 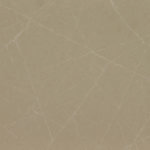 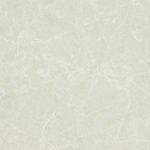 Three finishes are available for different design possibilities: polished, honed (matte) and embossed texture. 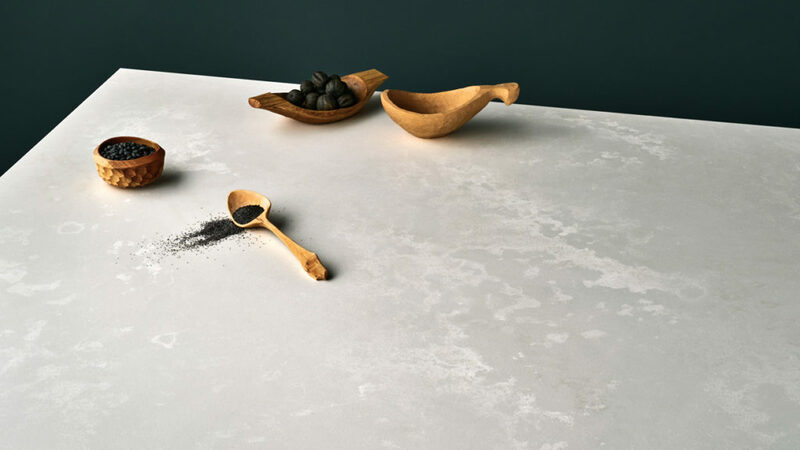 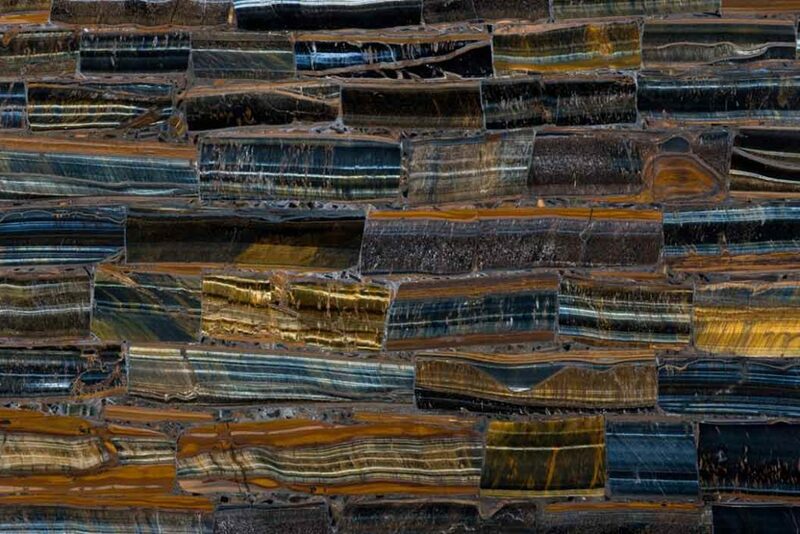 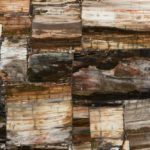 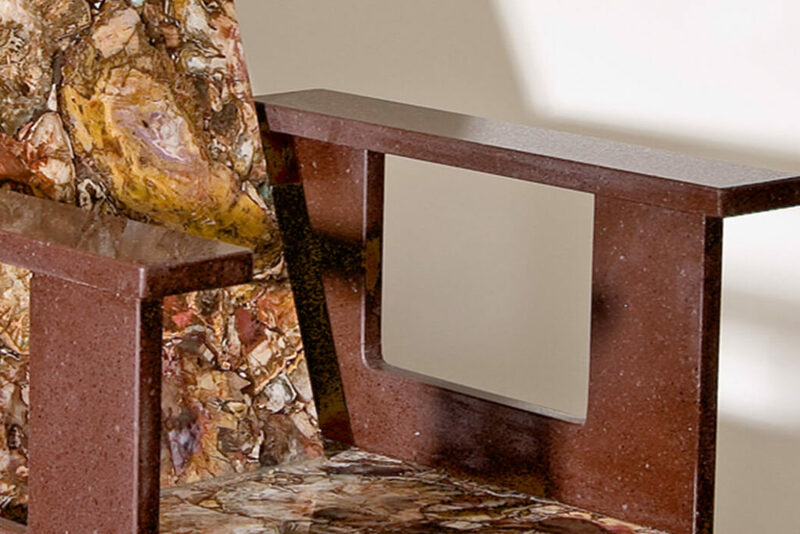 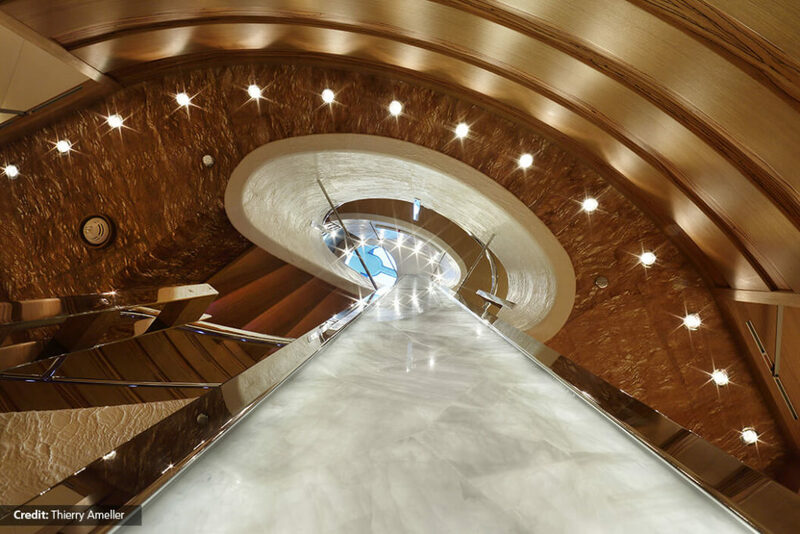 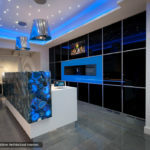 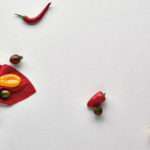 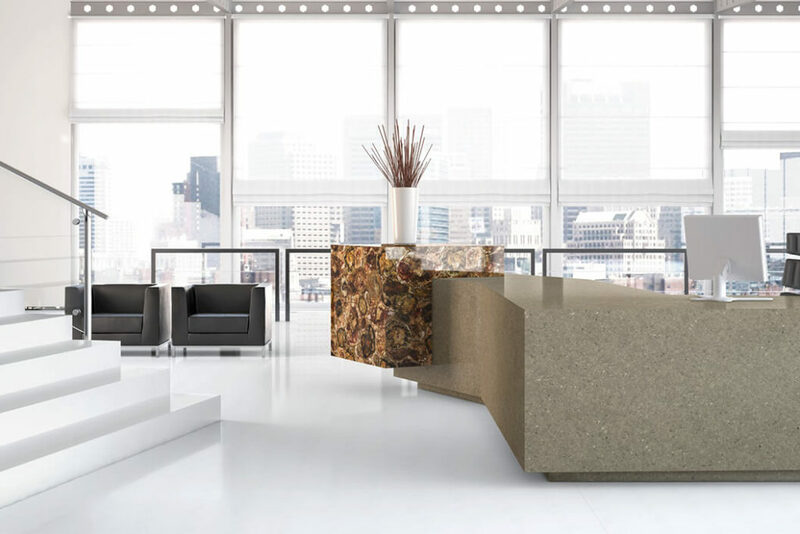 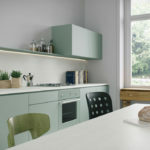 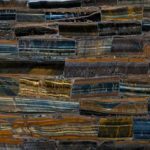 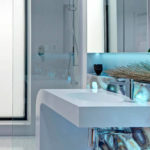 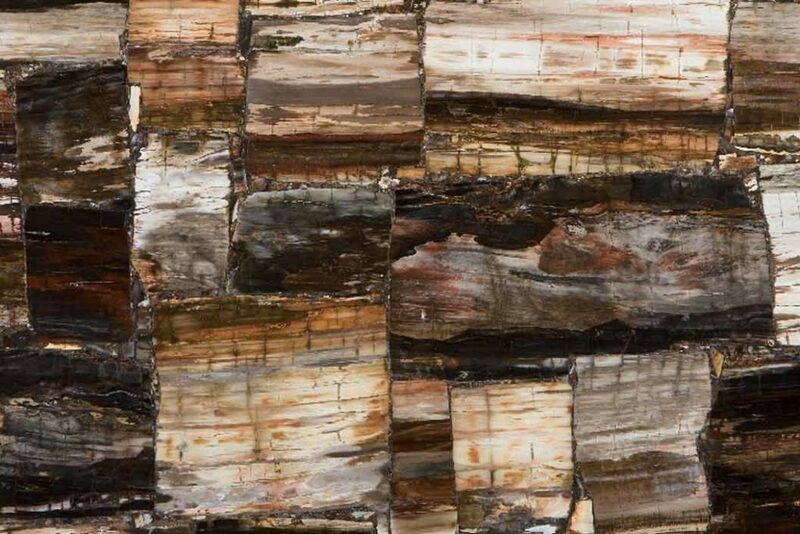 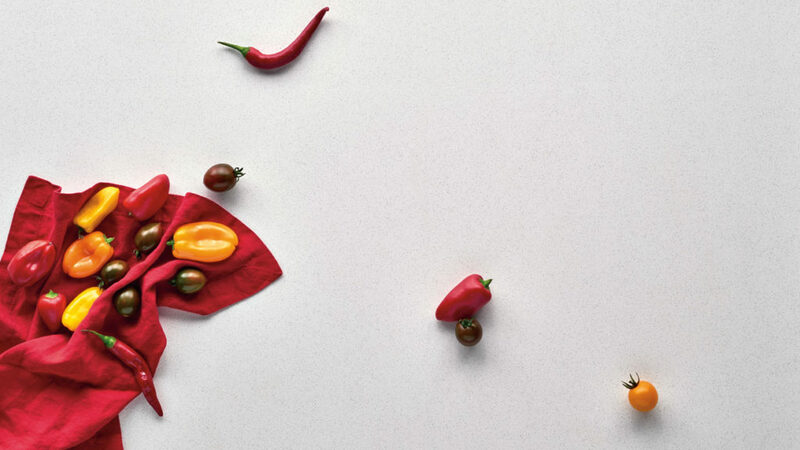 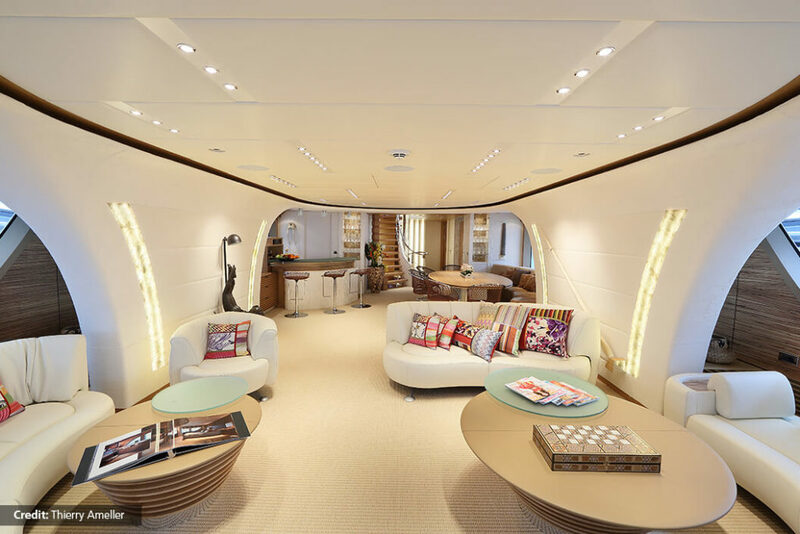 From investing in recycling technologies in their manufacturing plants to embracing environmentally sensitive suppliers, Caesarstone seeks to protect both the well-being of their customers and the environment. 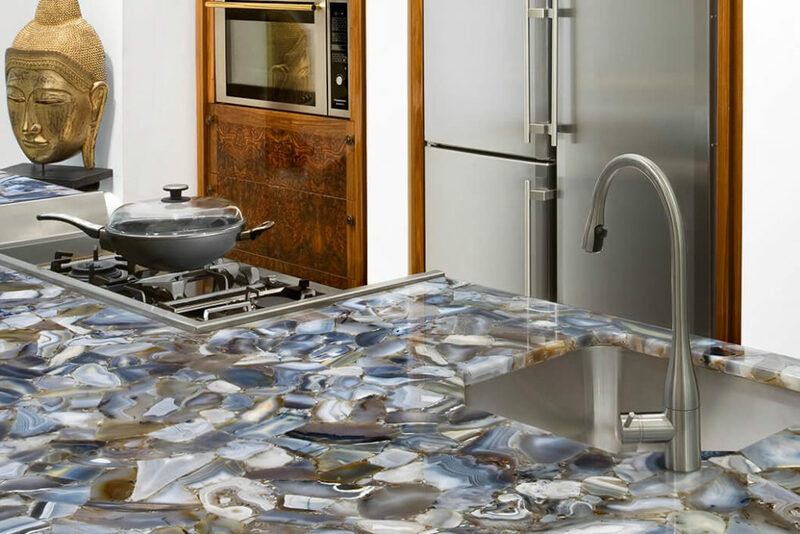 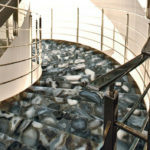 Visit one of Pacific Shore Stones locations to speak with a representative about your needs! 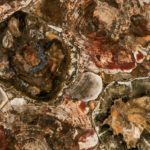 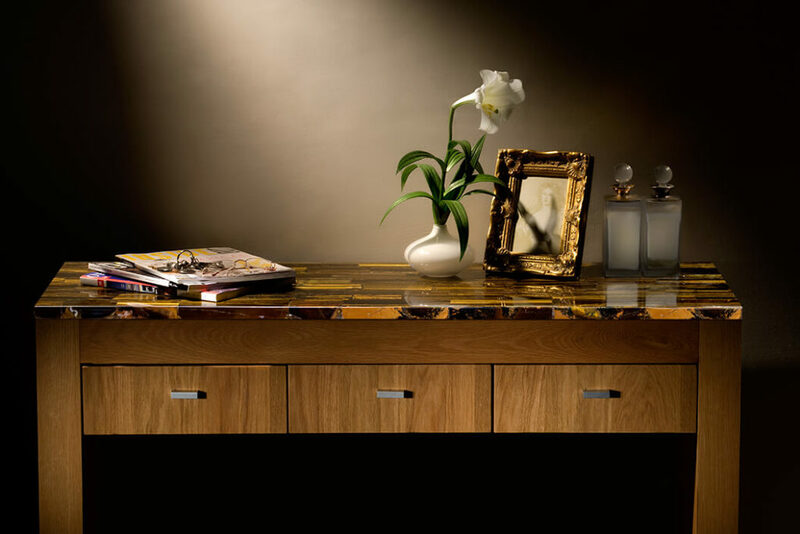 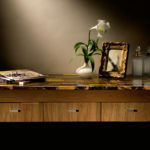 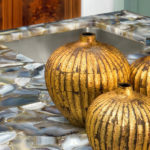 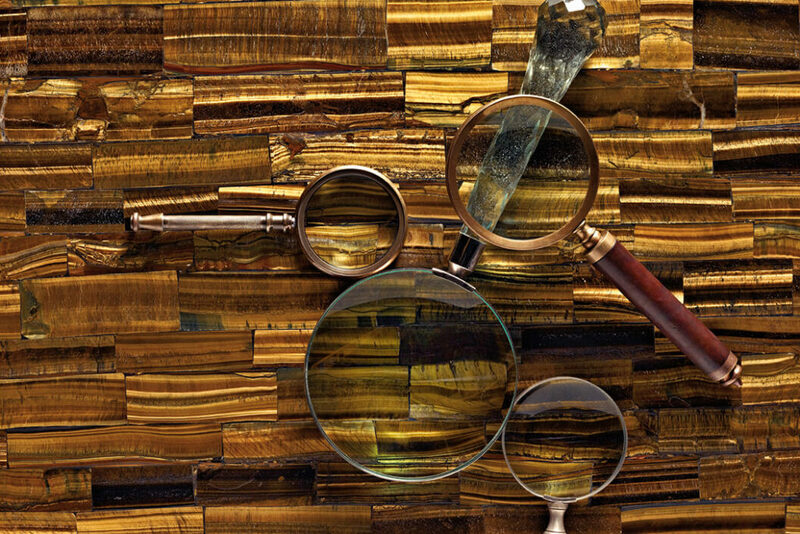 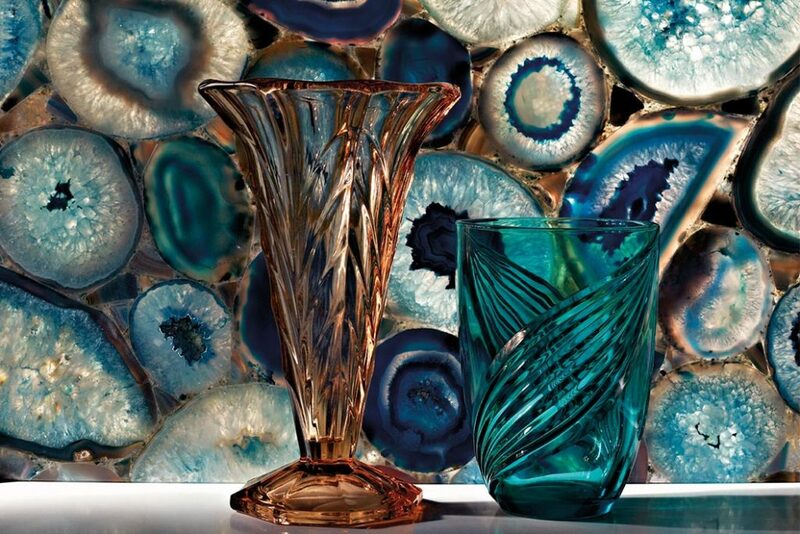 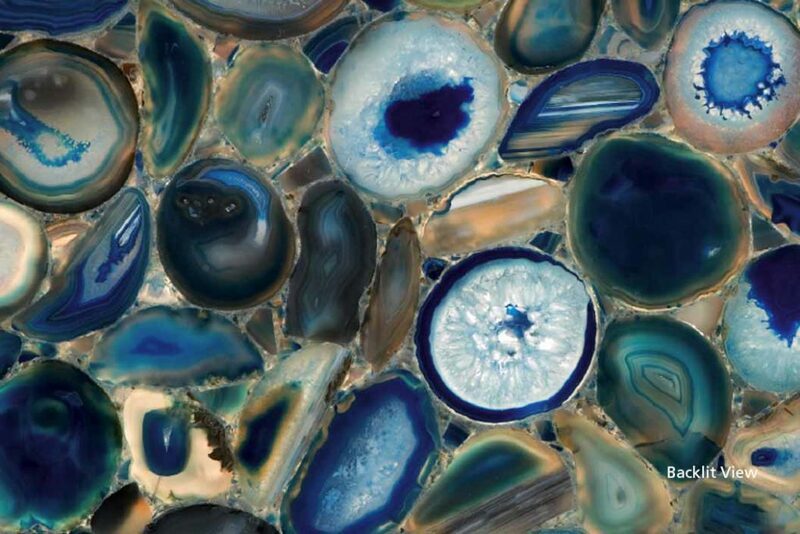 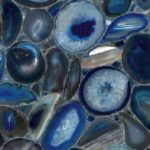 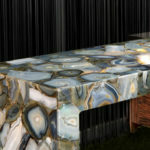 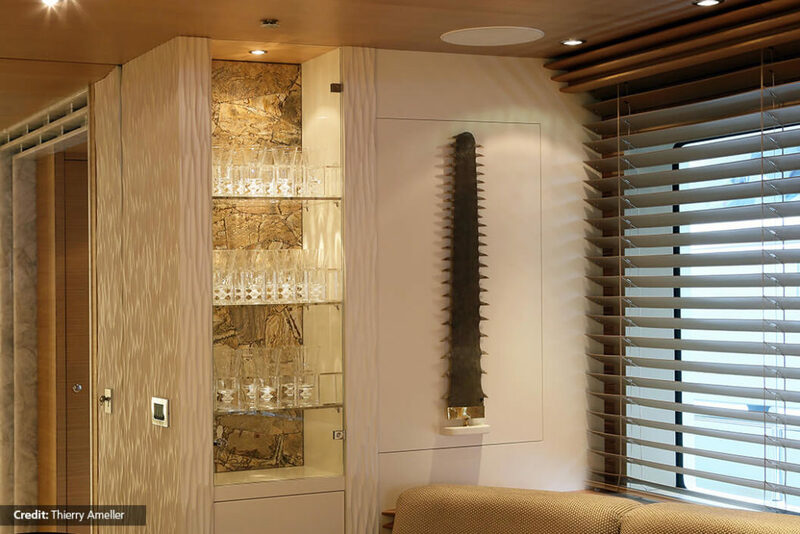 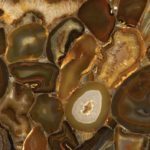 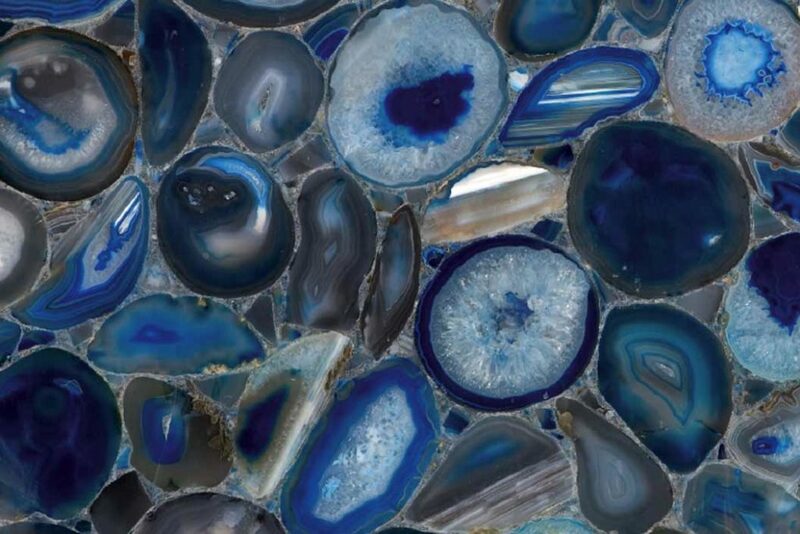 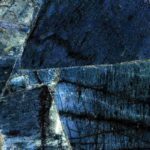 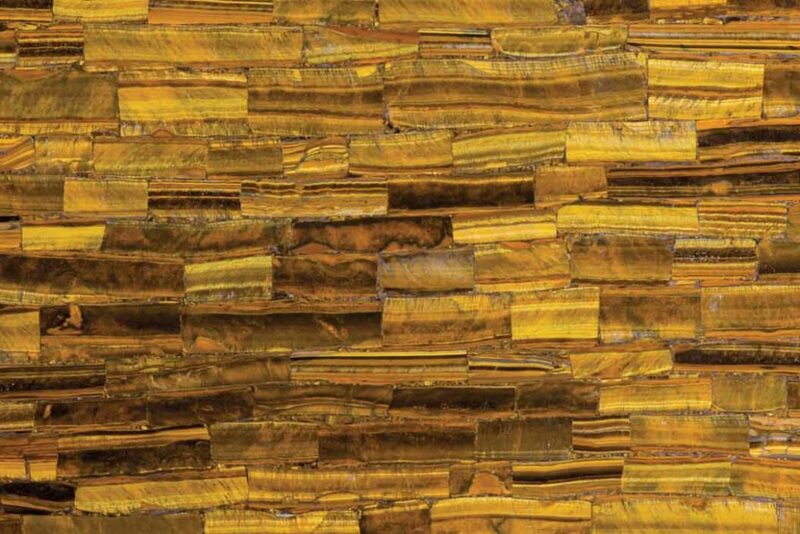 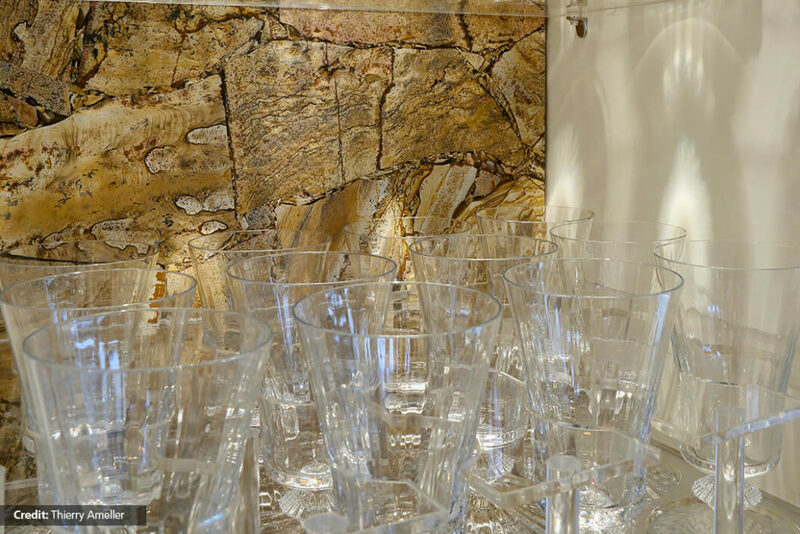 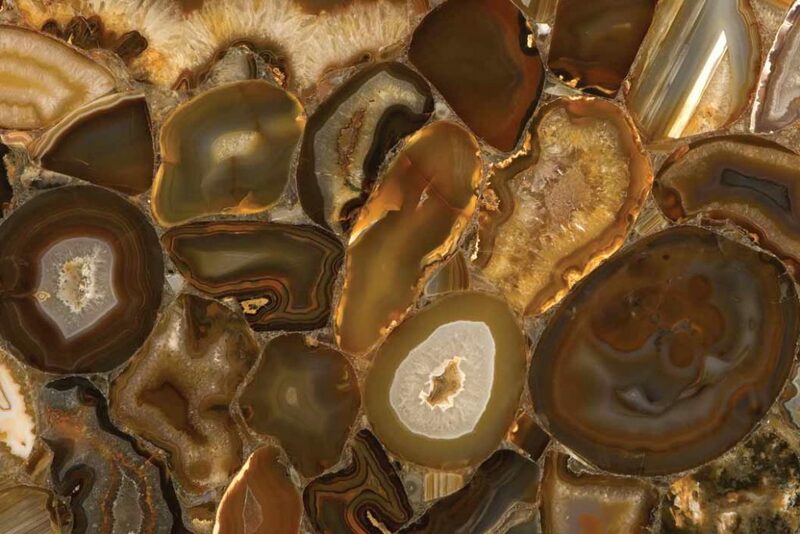 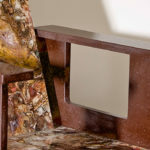 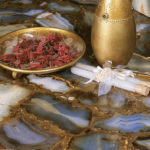 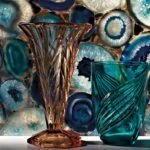 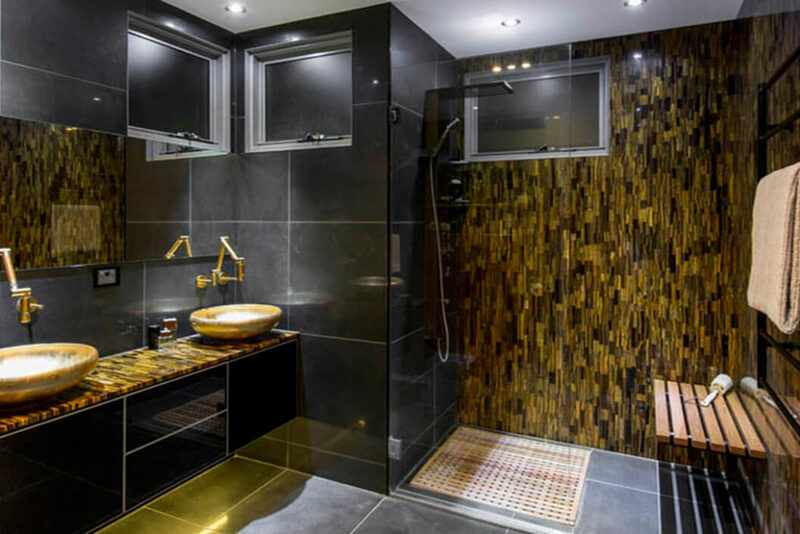 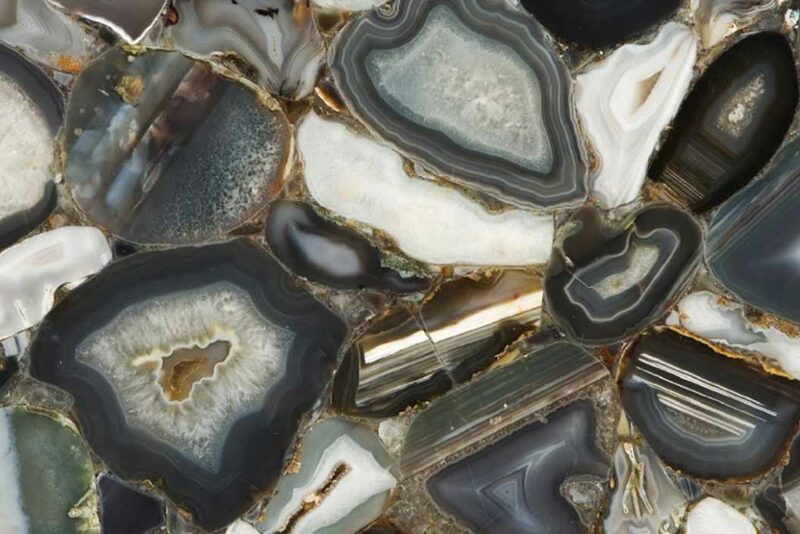 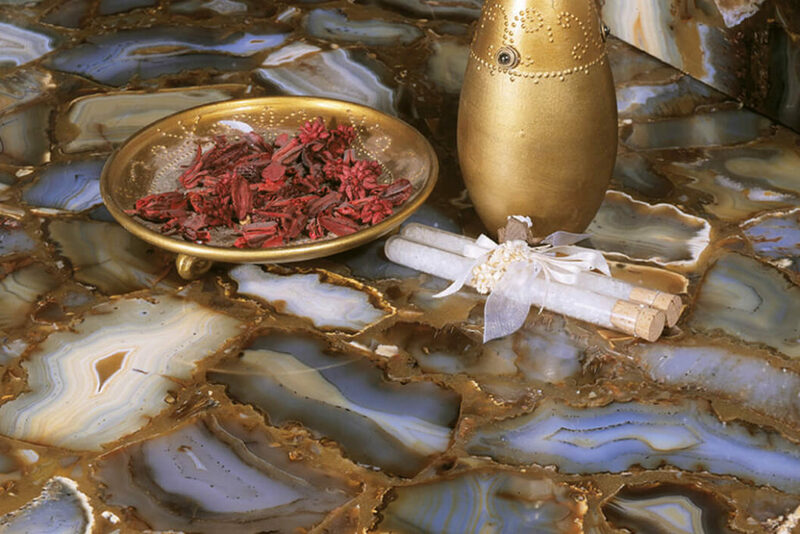 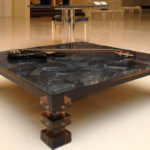 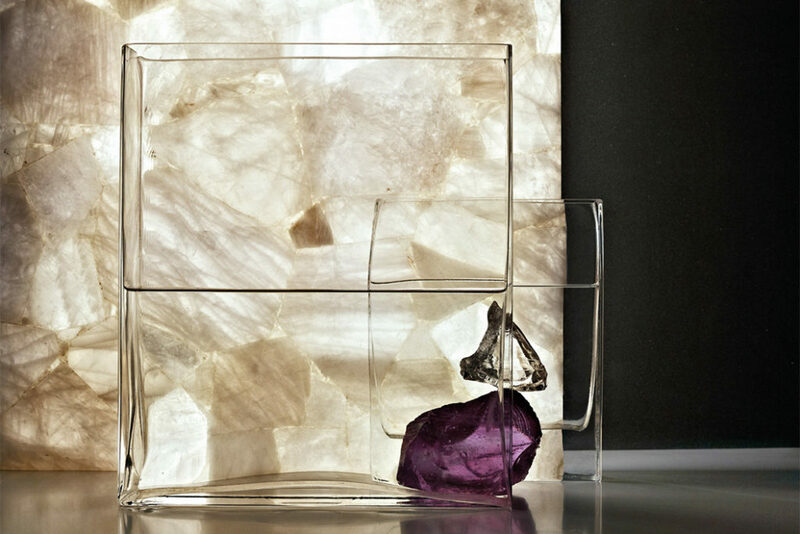 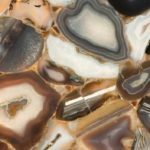 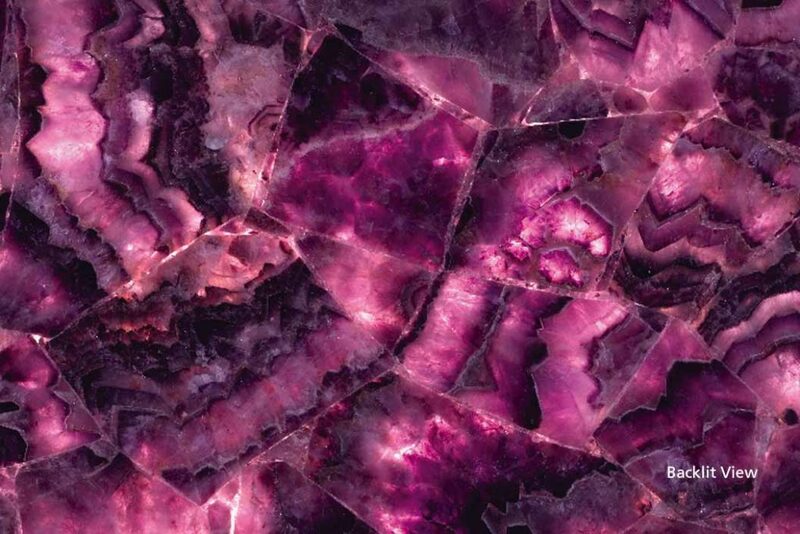 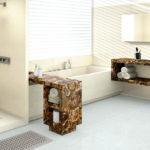 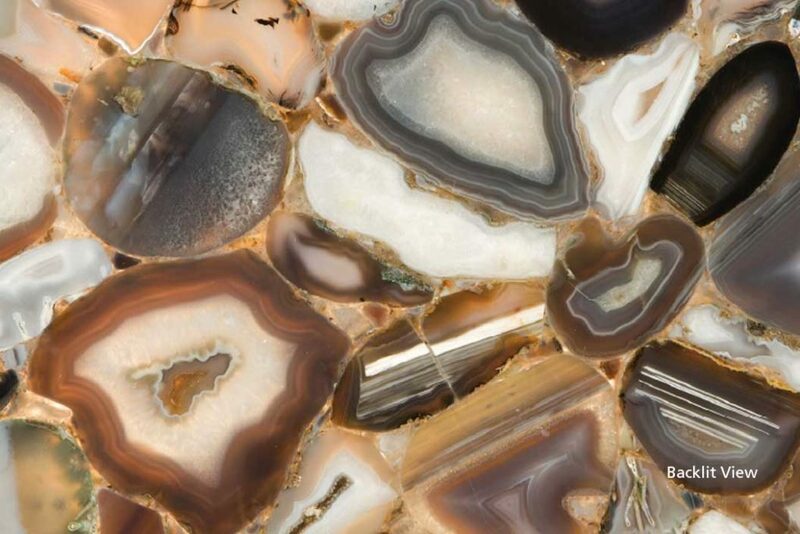 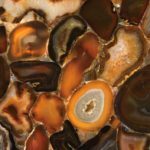 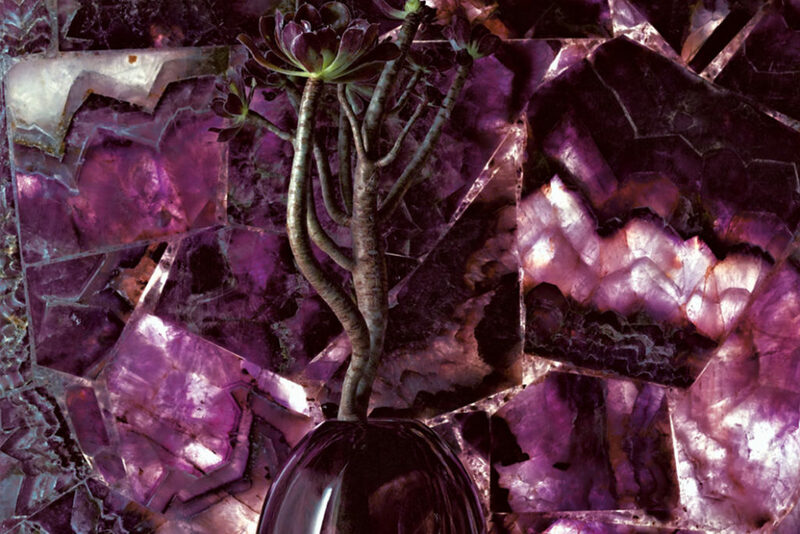 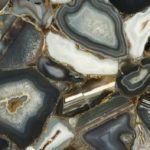 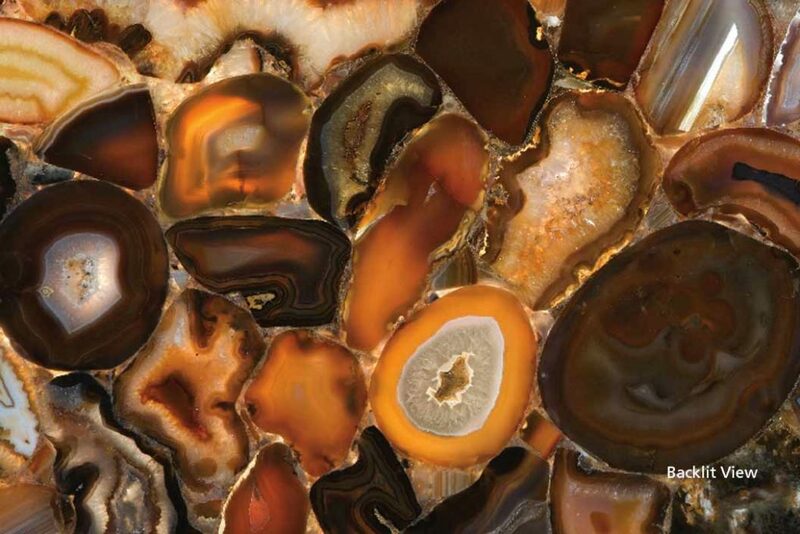 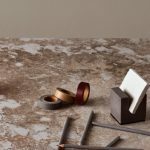 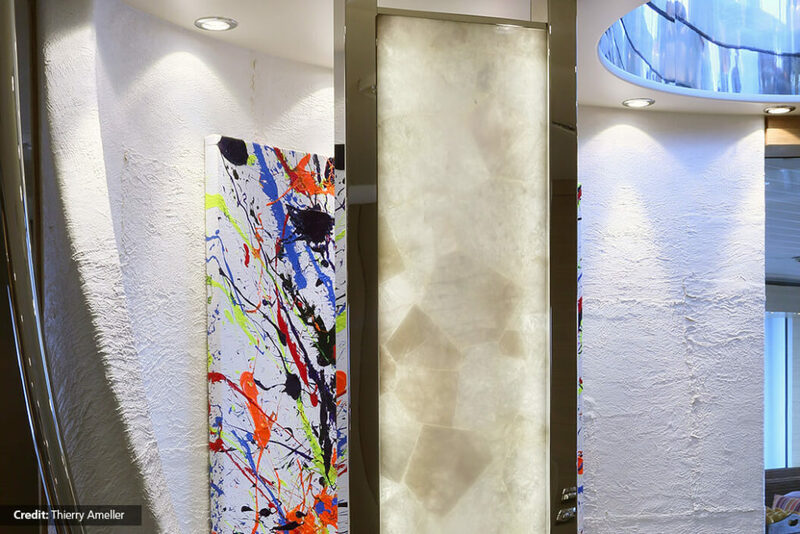 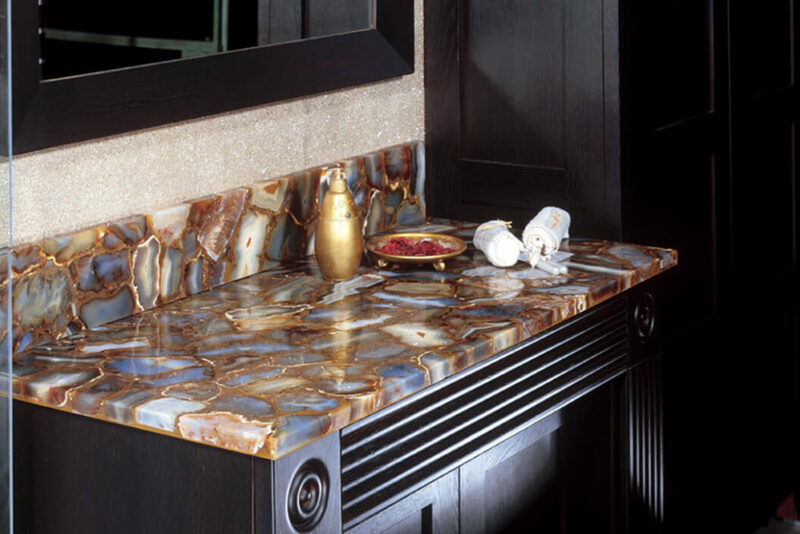 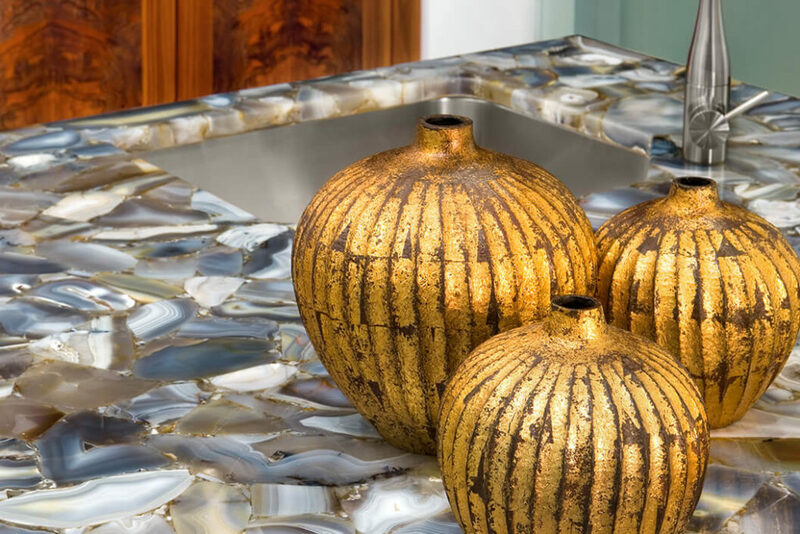 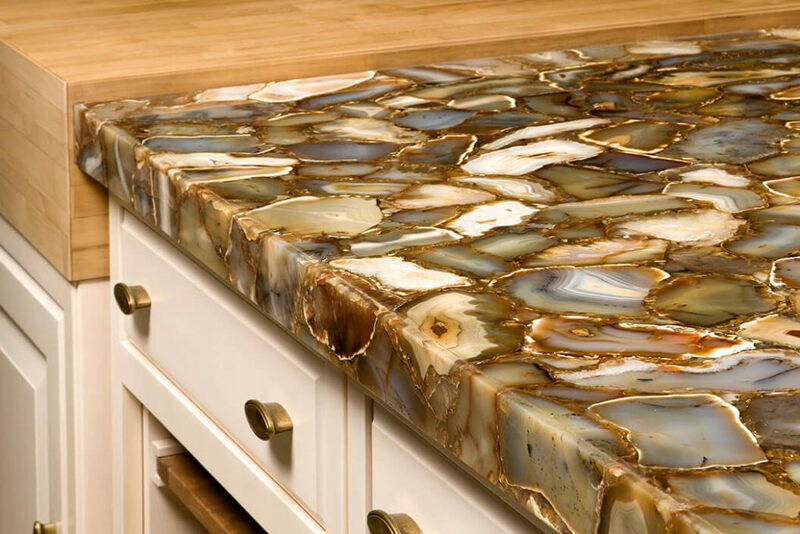 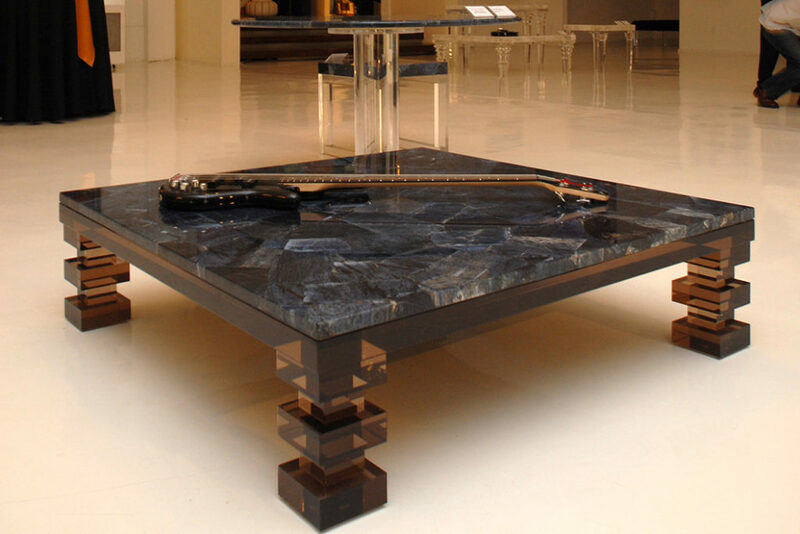 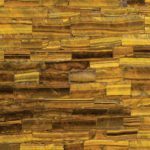 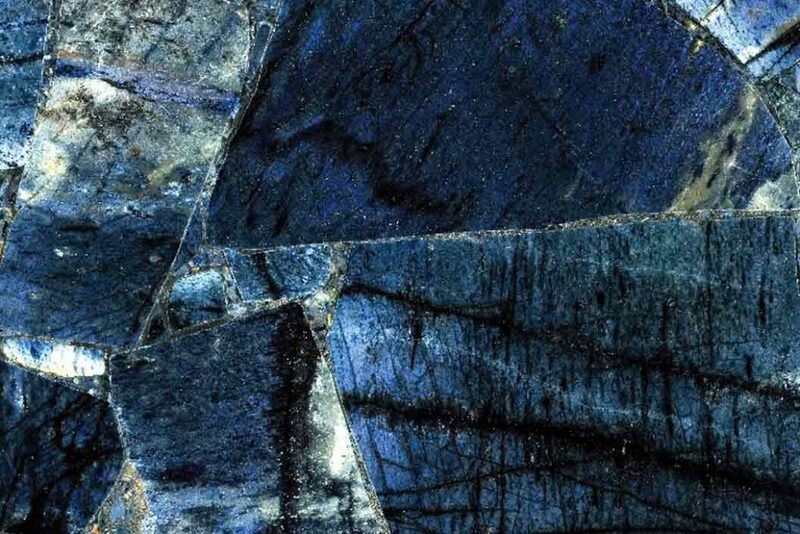 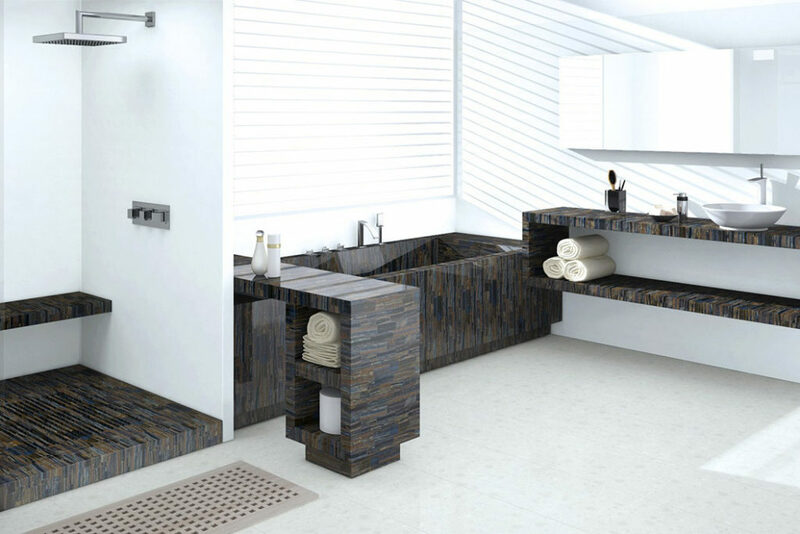 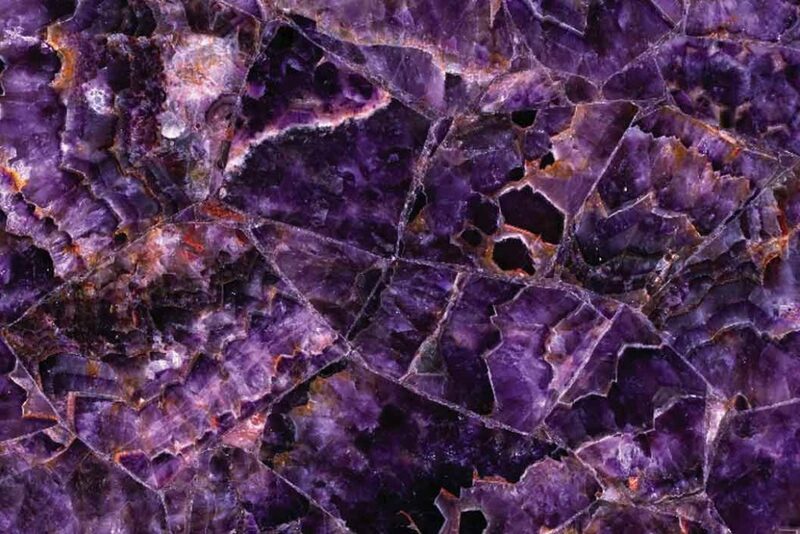 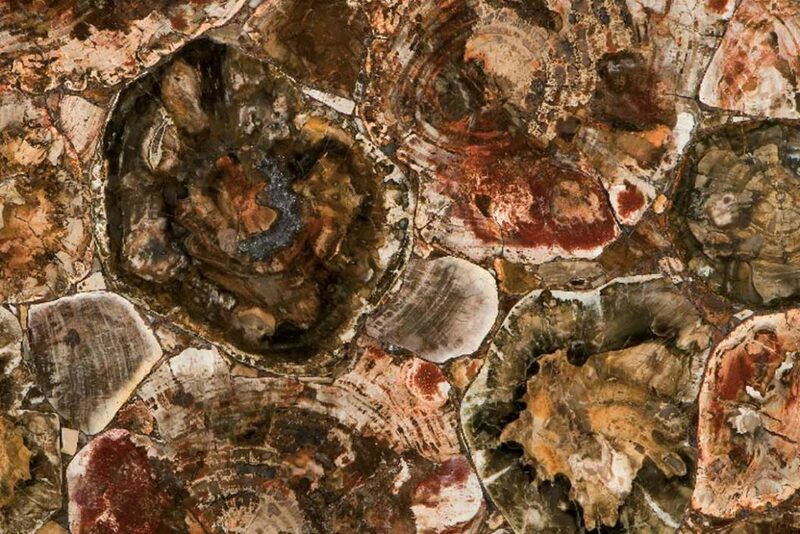 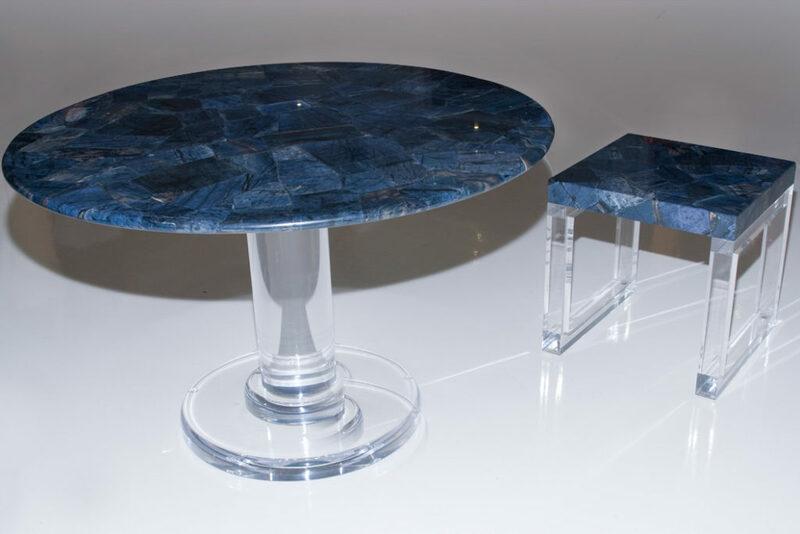 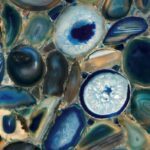 The Concetto line offers breathtakingly beautiful surfaces; hand-made from semi-precious stones sourced from all over the world. 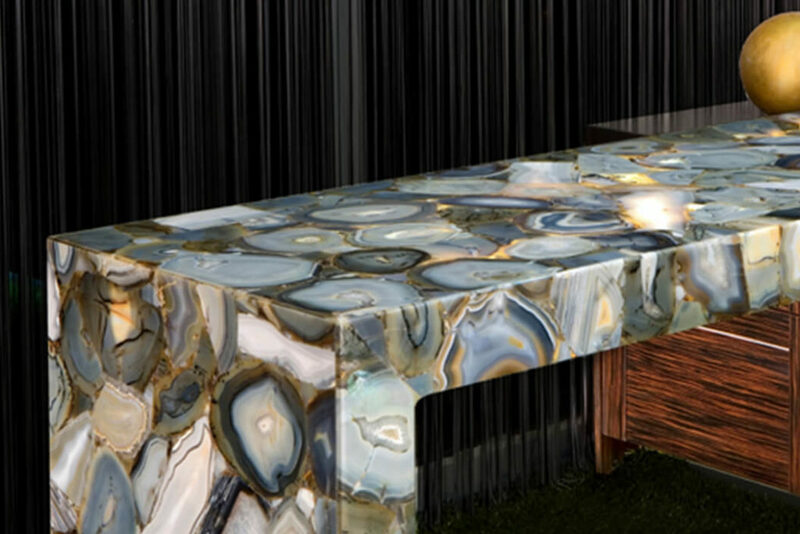 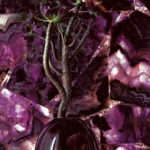 Made from natural quartz agate materials, the semi-precious stones radiate vivid colors, allowing for the creation of stunning applications.